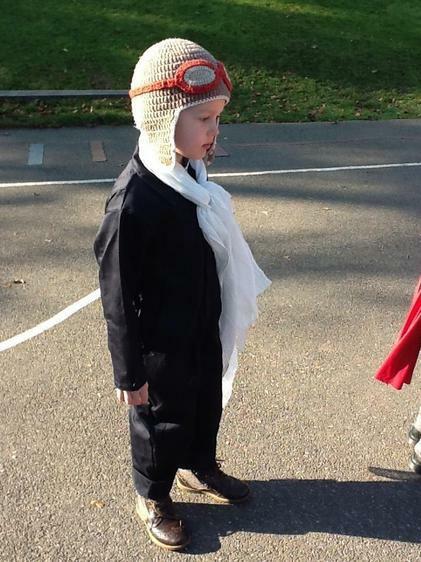 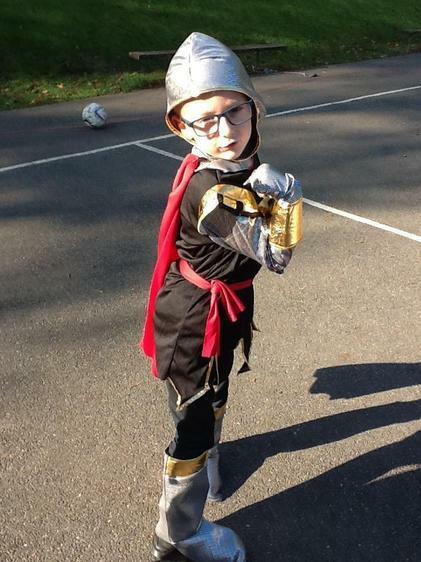 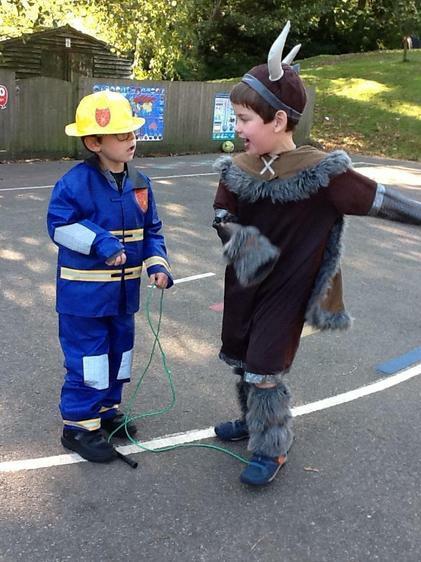 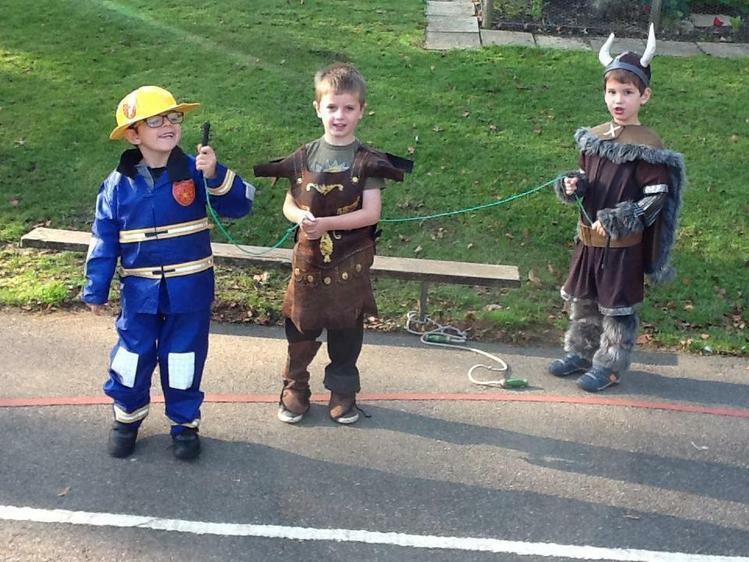 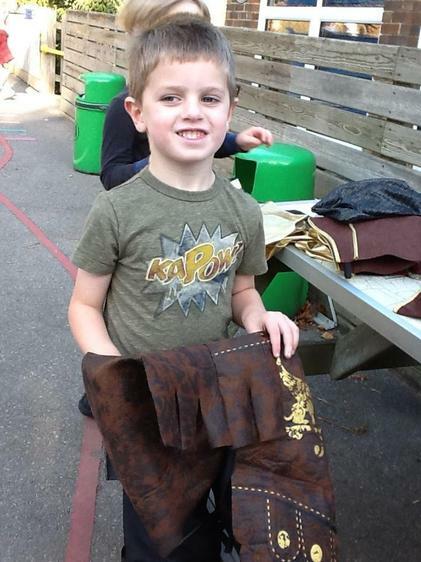 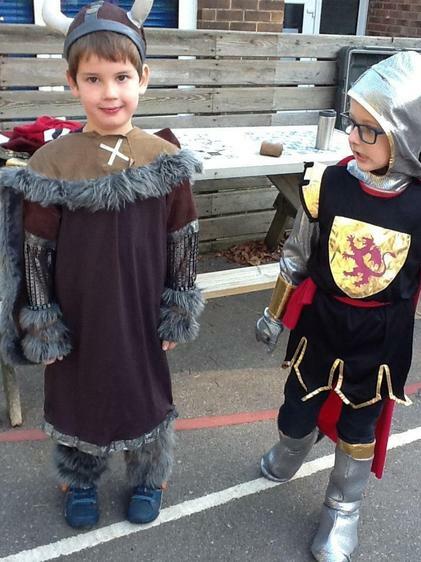 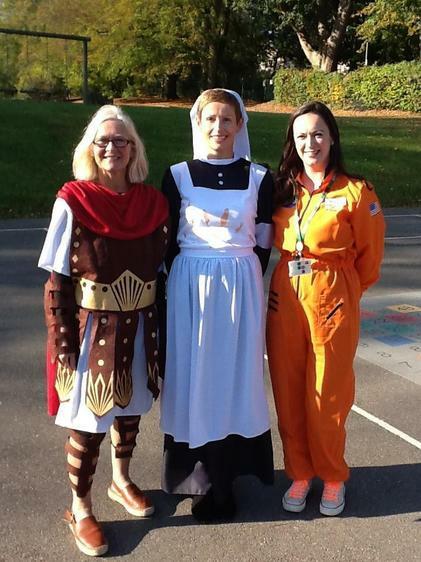 Book Week and the last week of term! 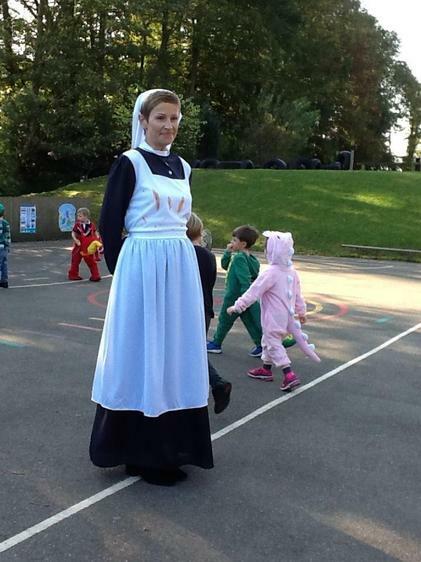 Mrs Ferguson has booked lots of interesting activities for us to enjoy and take part in. 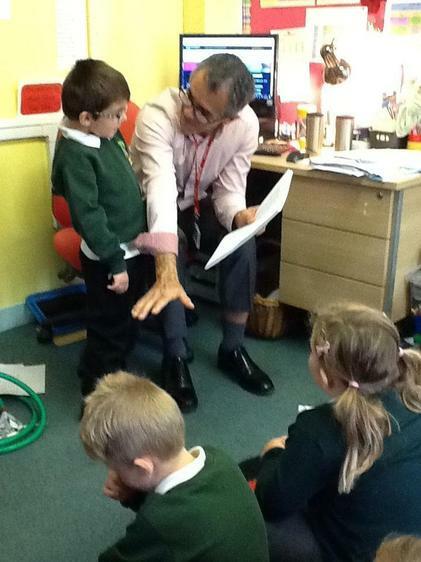 Tony Peek read us some of his poems - we loved them! 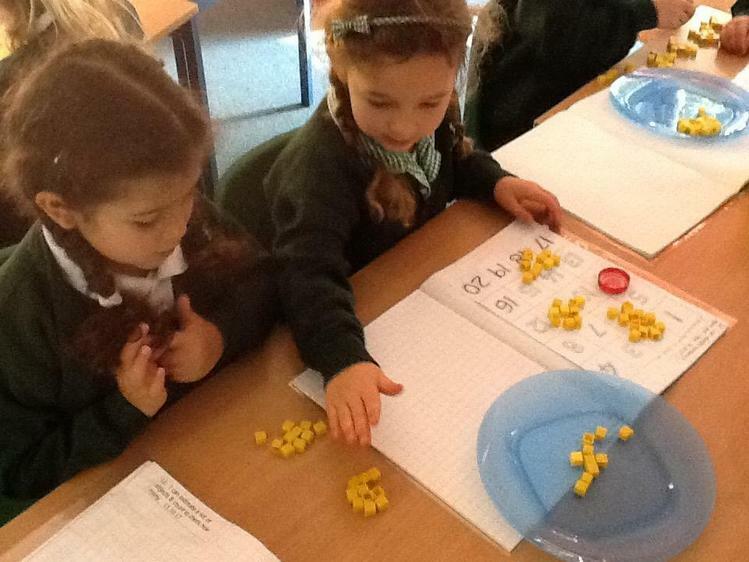 This week we have been estimating (making sensible guesses) about how many marbles there are in a jar, cubes there are in the basket, counters there are in a pot. 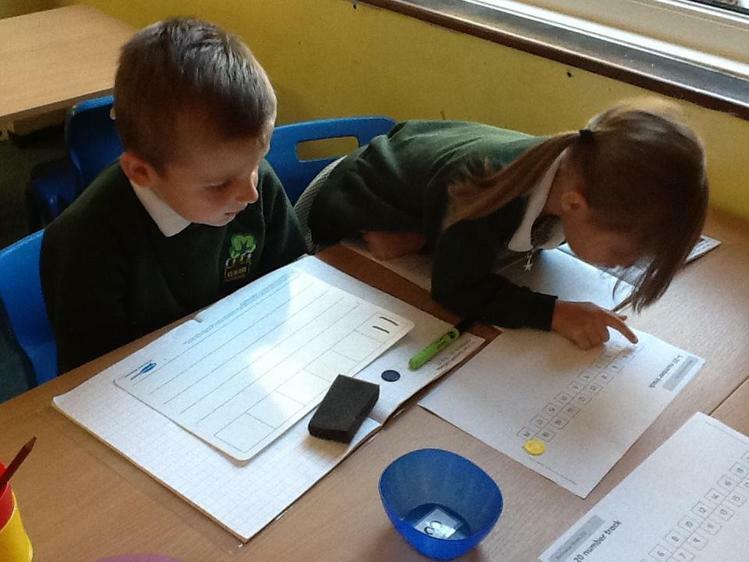 We then counted to see how accurate our estimates were. 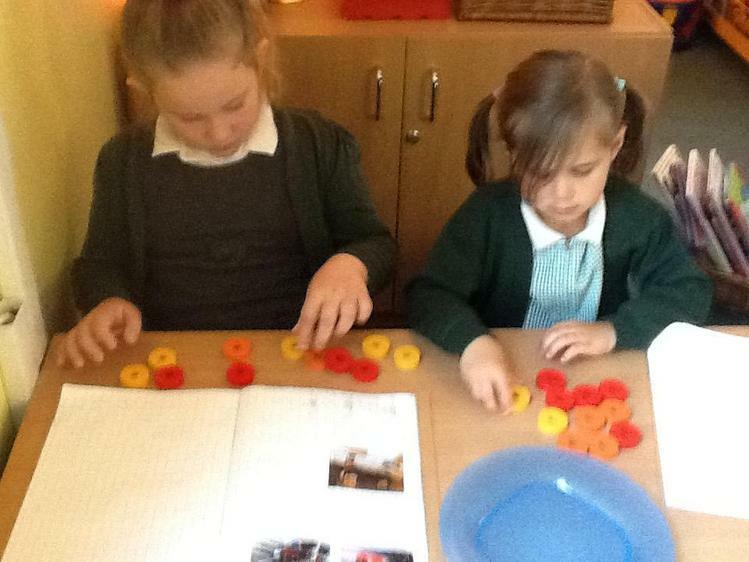 We grouped the objects into groups of 10 as one child pointed out it was quicker than counting them in ones and also we were less likely to make mistakes or forget how many we had counted. 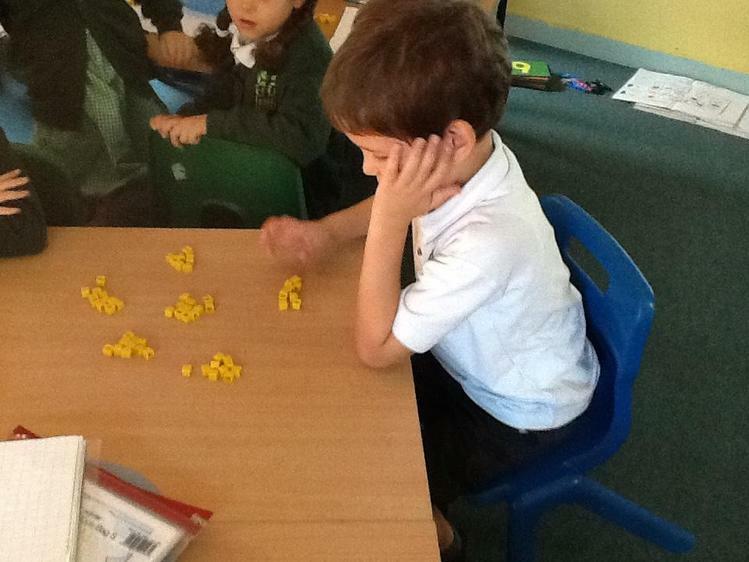 We have also been thinking about 'one more' and 'one less'. 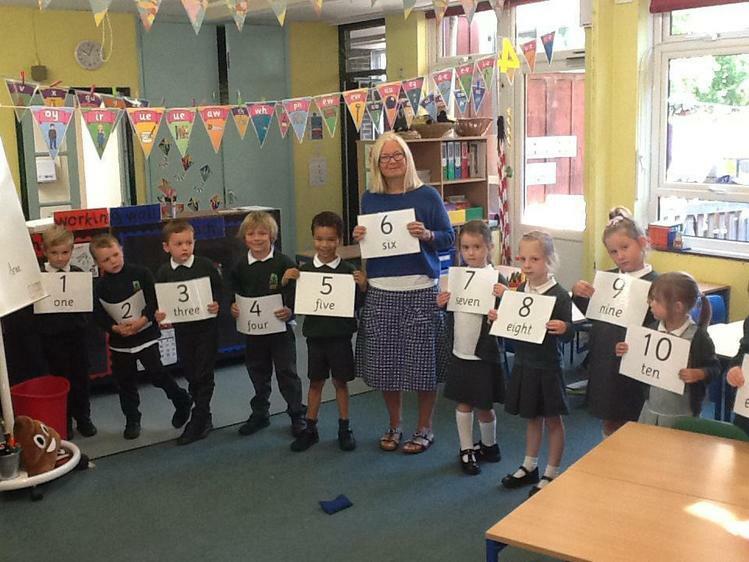 One of the games we played was to cover a number and get our partner to work out what it was by looking at the number before the covered one and the one after the covered one. 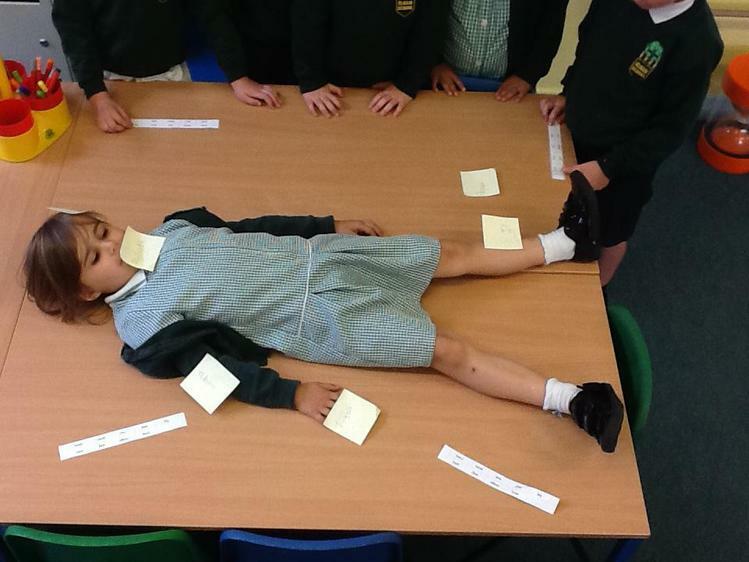 We have begun our week by 'boxing up' the text we learnt by heart last week. 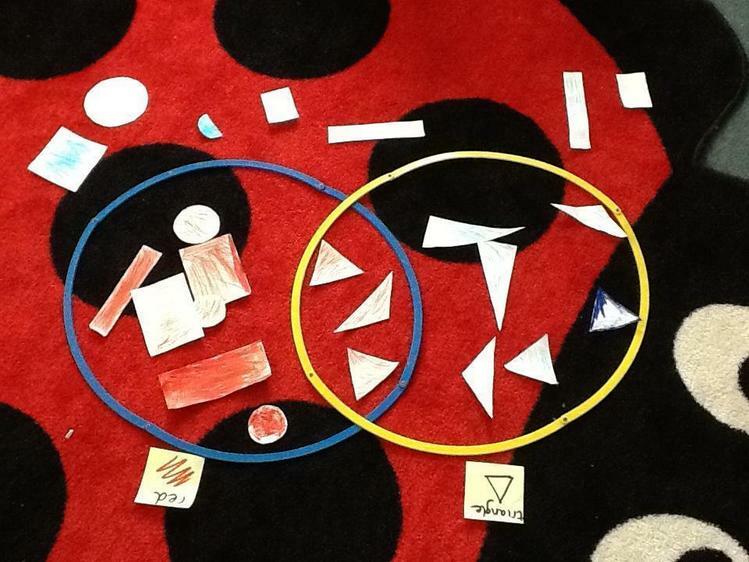 This involved colouring each section and then labeling them. 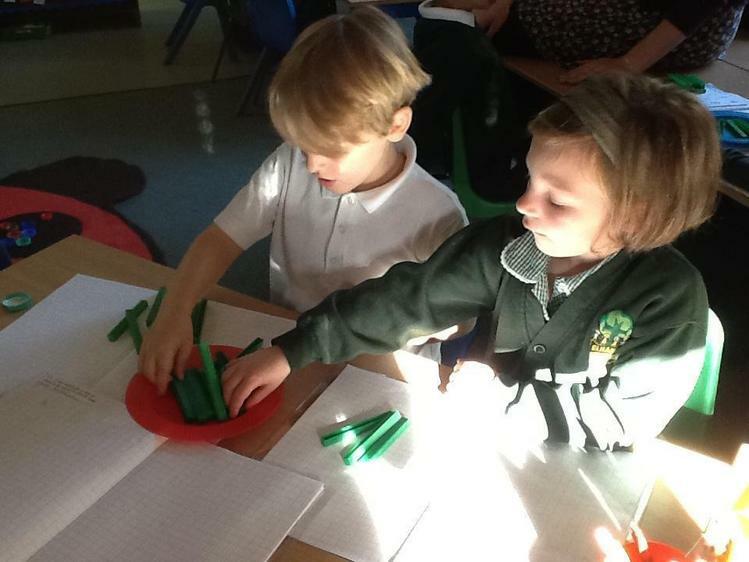 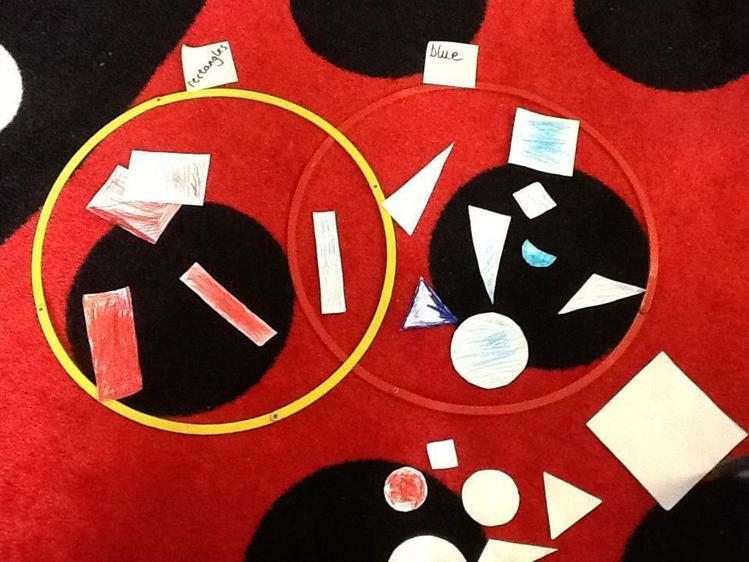 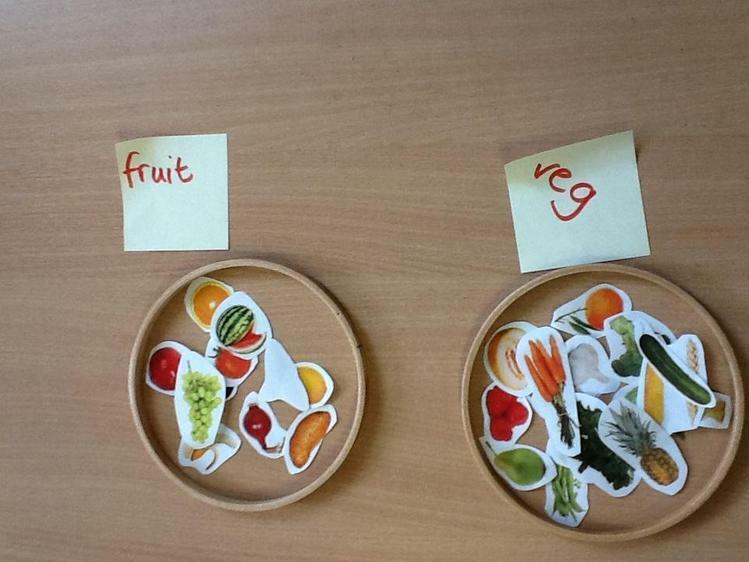 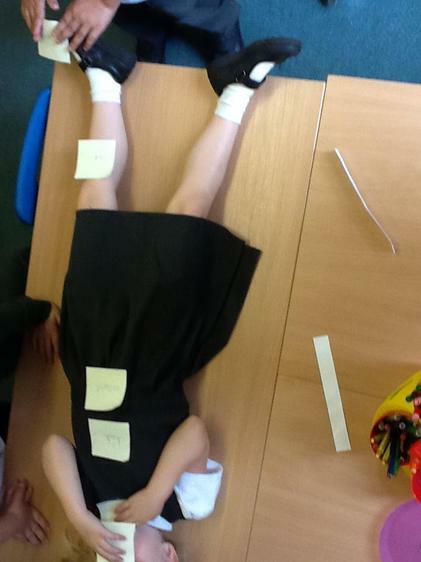 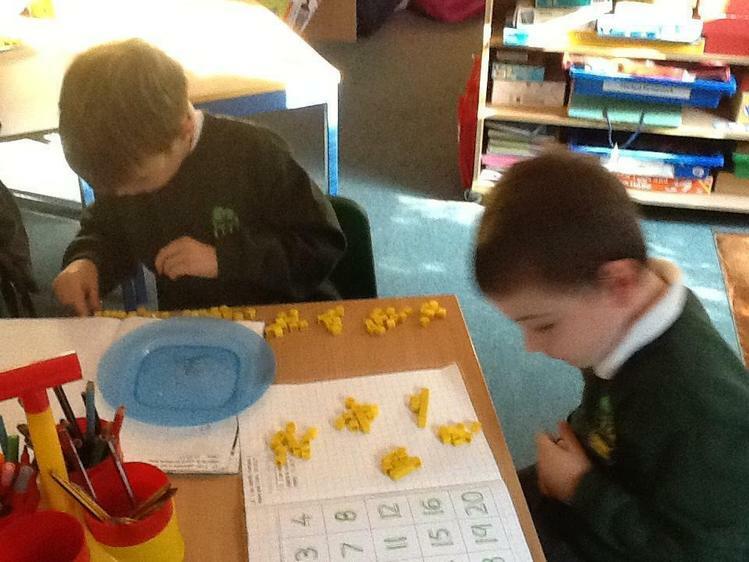 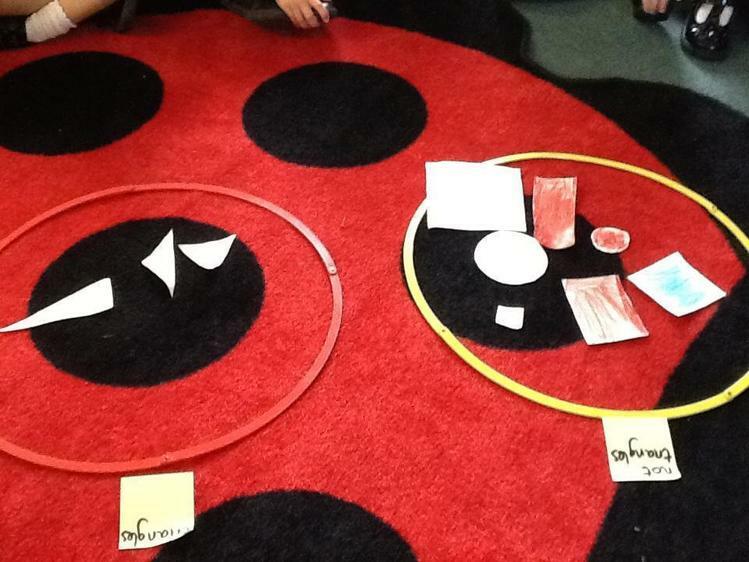 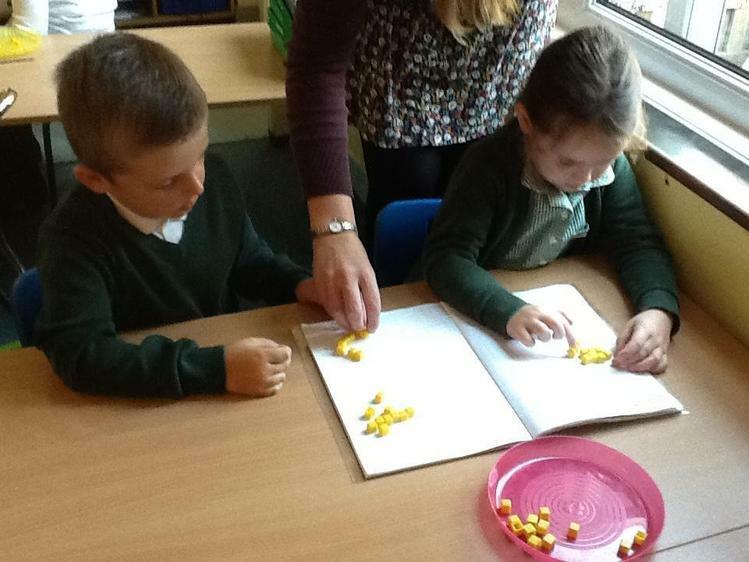 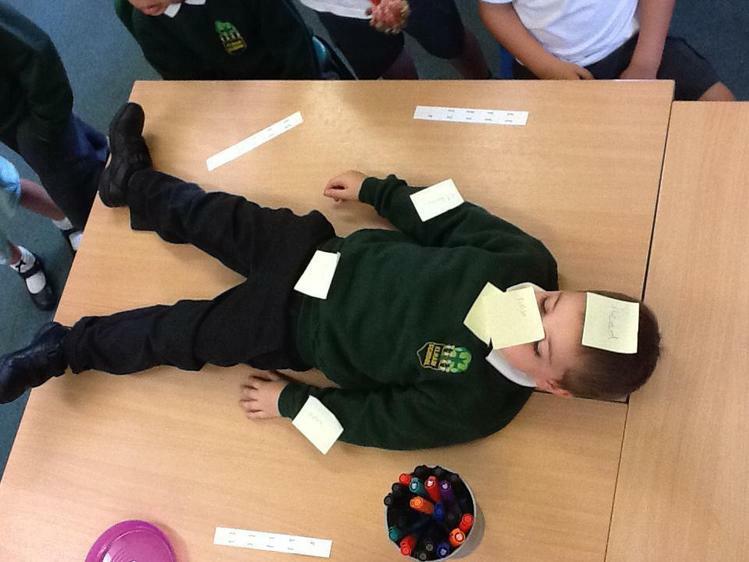 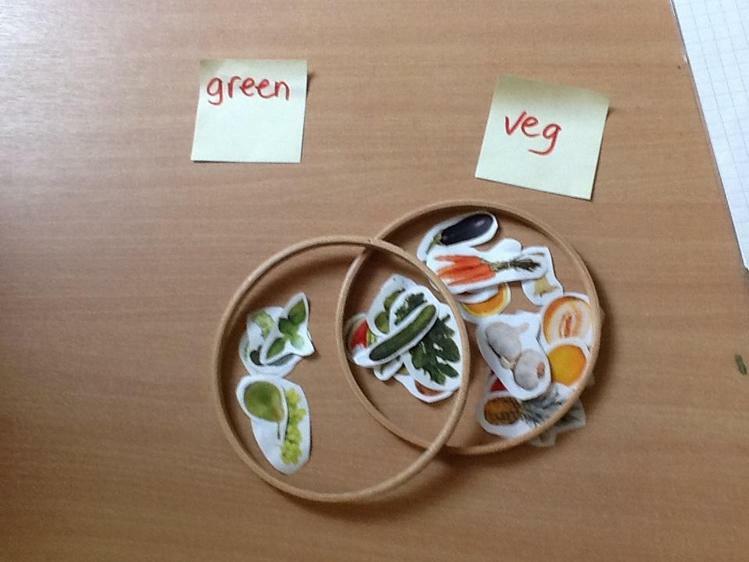 In maths we have been sorting food and shapes according to their properties. 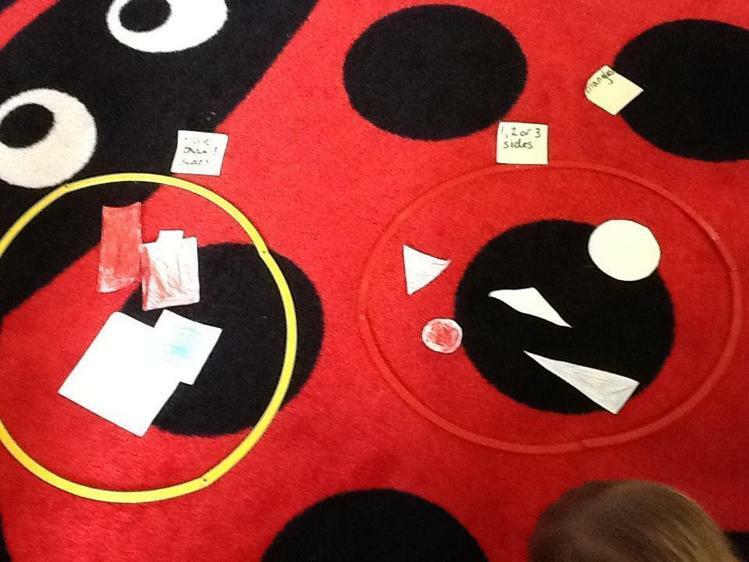 Can you see how we sorted things? 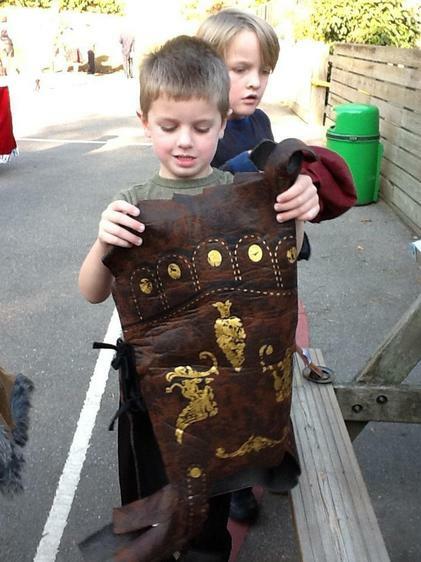 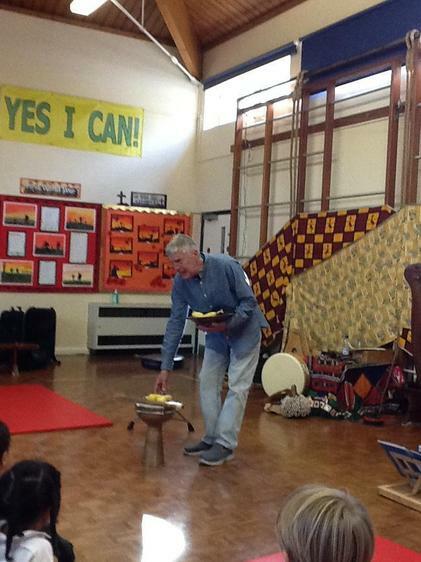 Many thanks to those of you who have sent in Harvest Festival gifts. 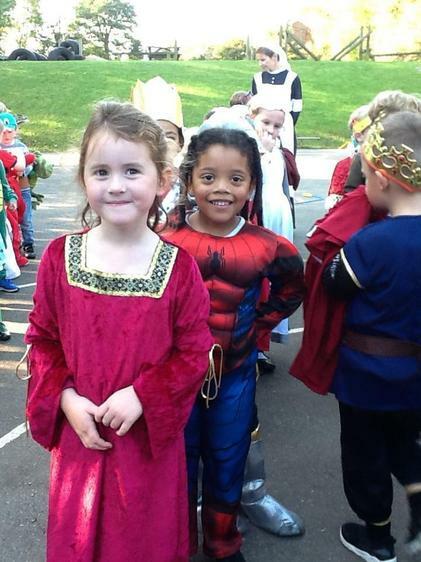 We are looking forward to seeing you in church. 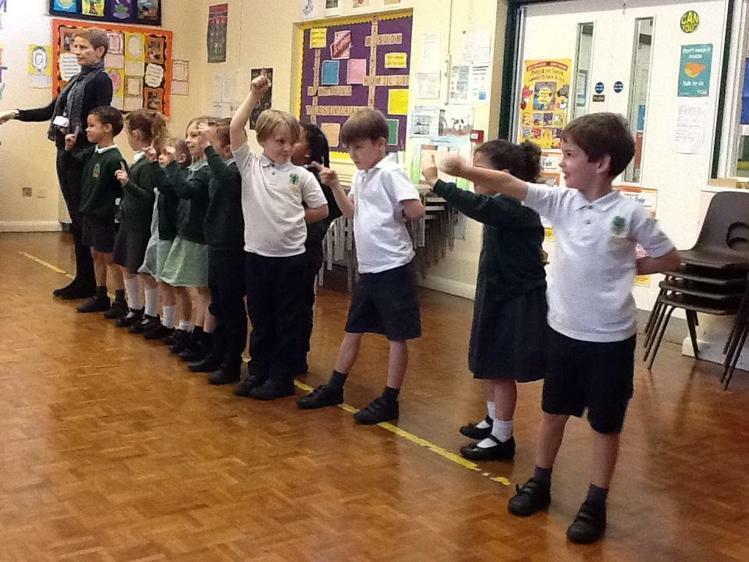 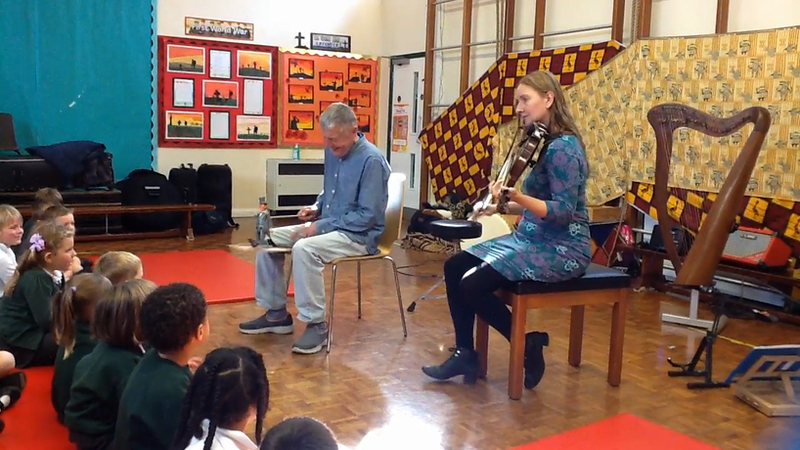 For those of you who are unable to come, here is a taste of our performance! 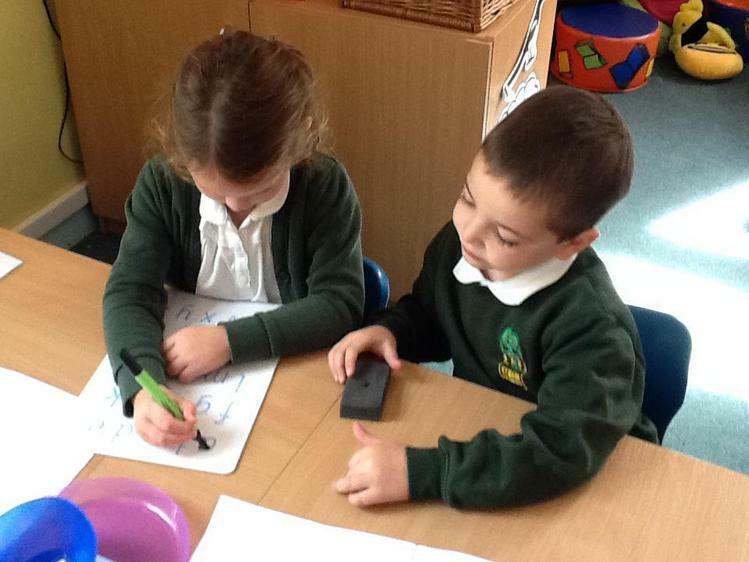 We have started our first Talk for Writing (T4W) text of the year. 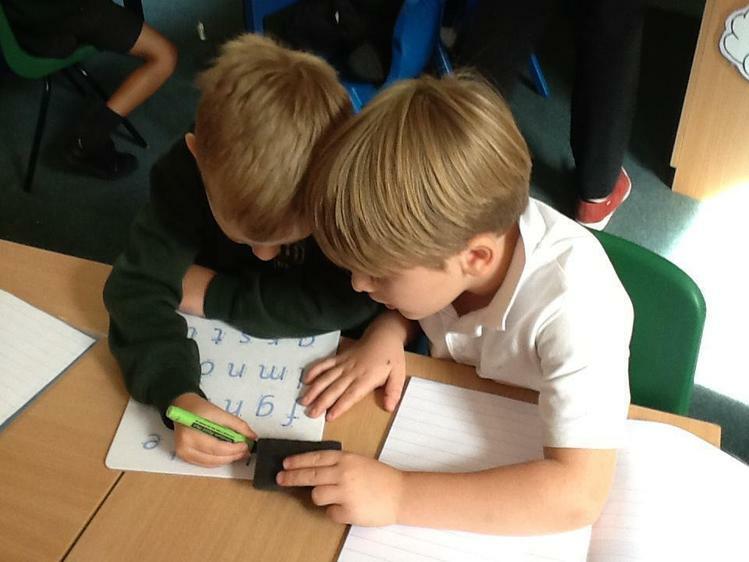 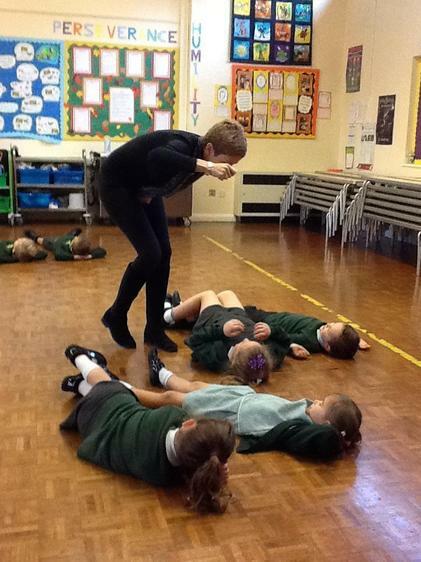 With Talk for Writing the children learn to say a text before they get down to writing it. 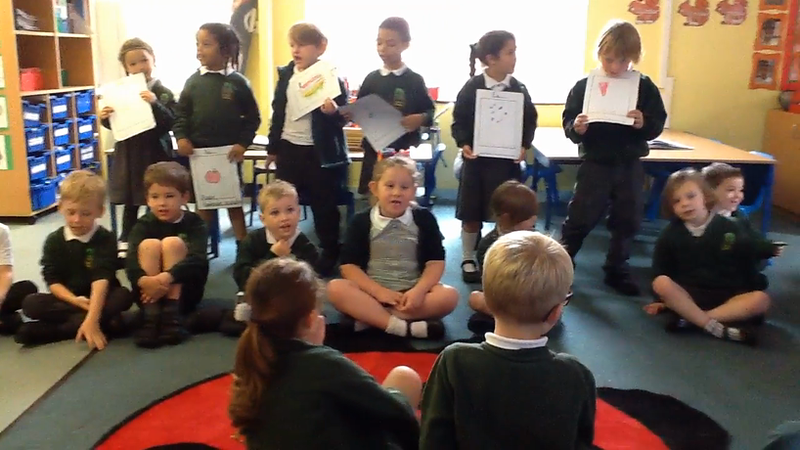 They learn a simple text off by heart, using pictures and actions to jog their memories. 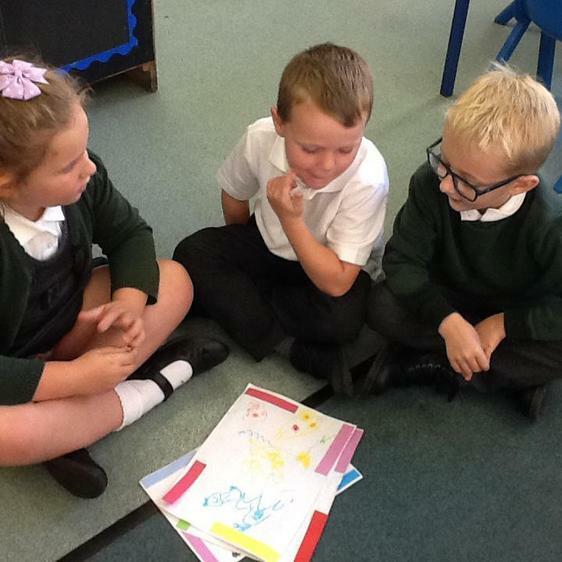 The text we have chosen is 'The Artist Who Painted a Blue Horse', by Eric Carle. 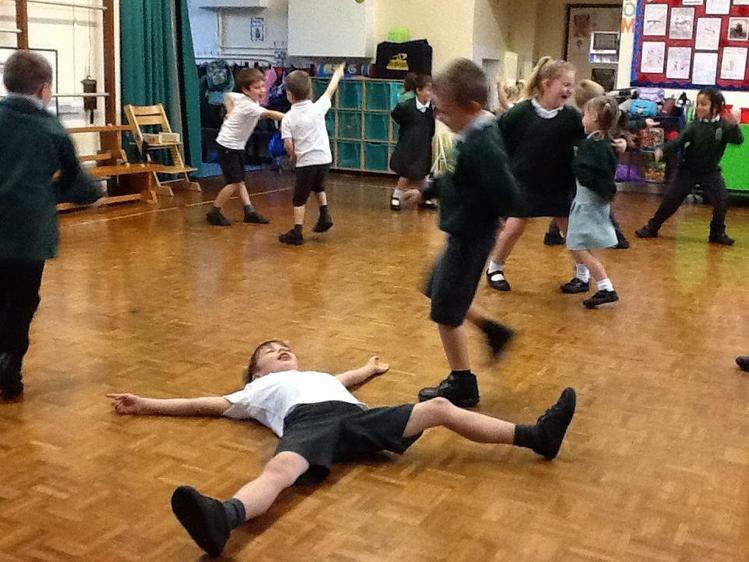 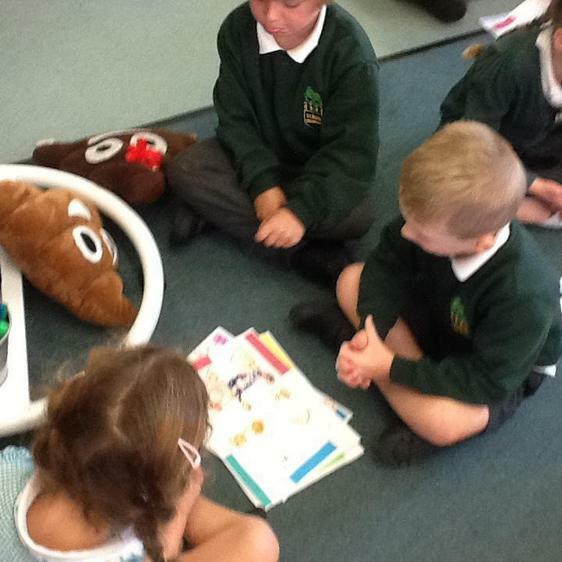 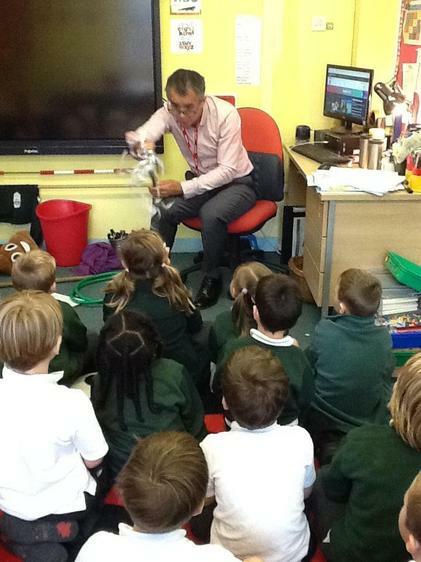 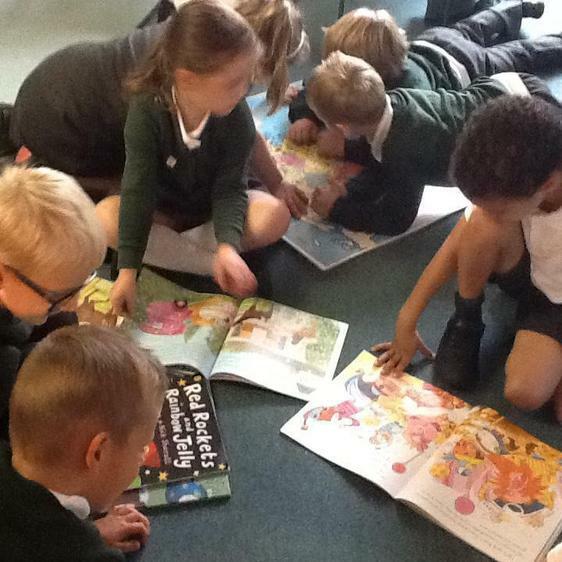 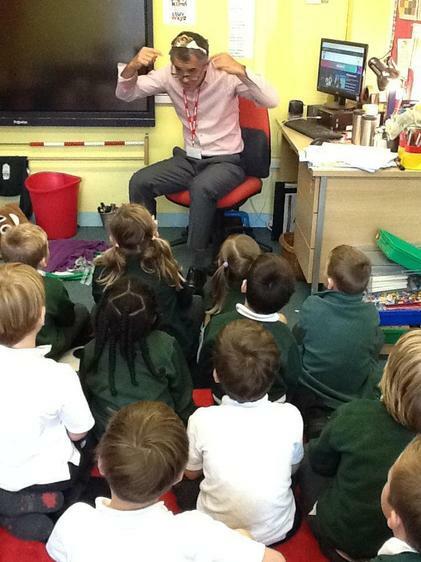 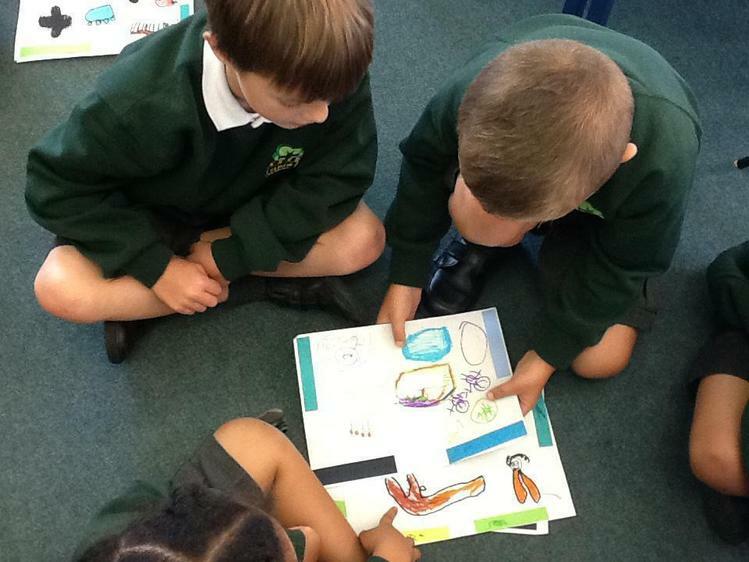 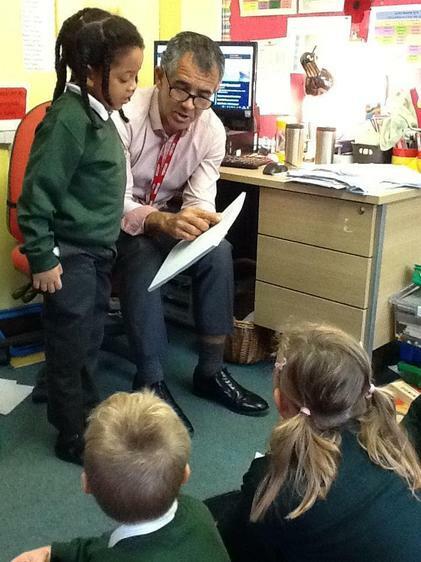 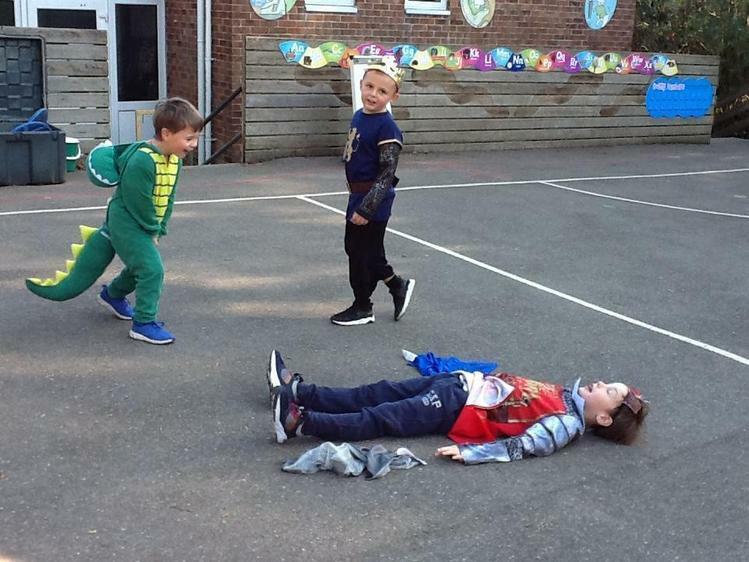 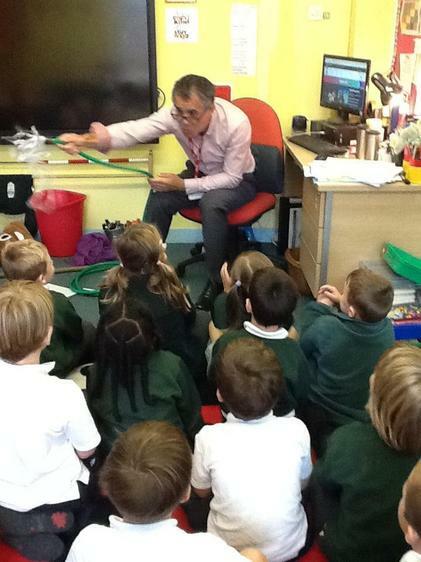 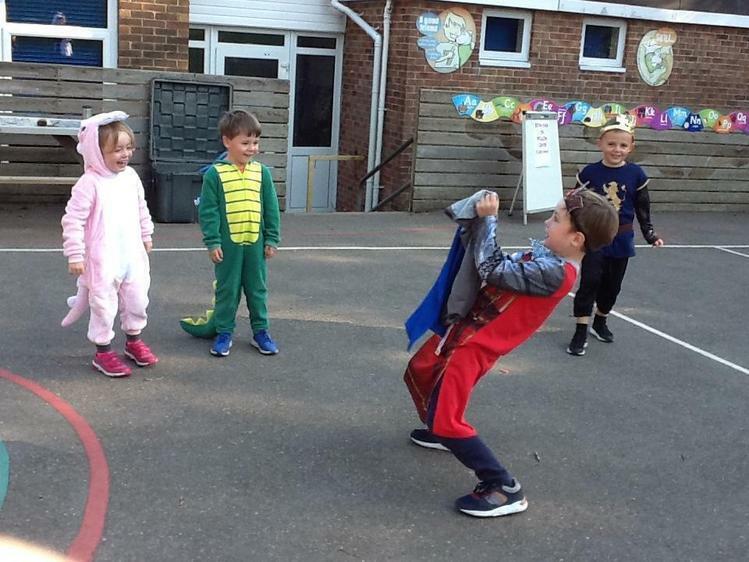 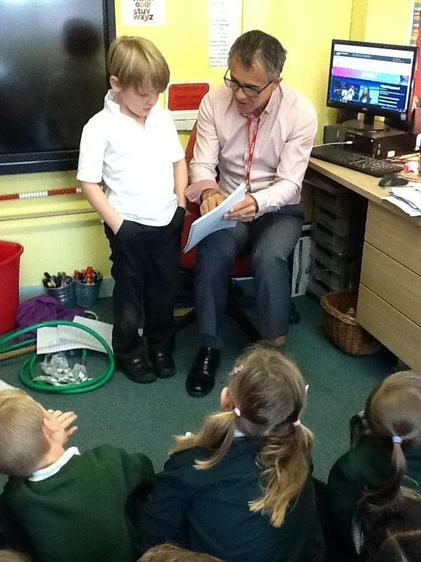 Some children remembered they had read one of his books (The Very Hungry Caterpillar) when they were in Acorn Class. 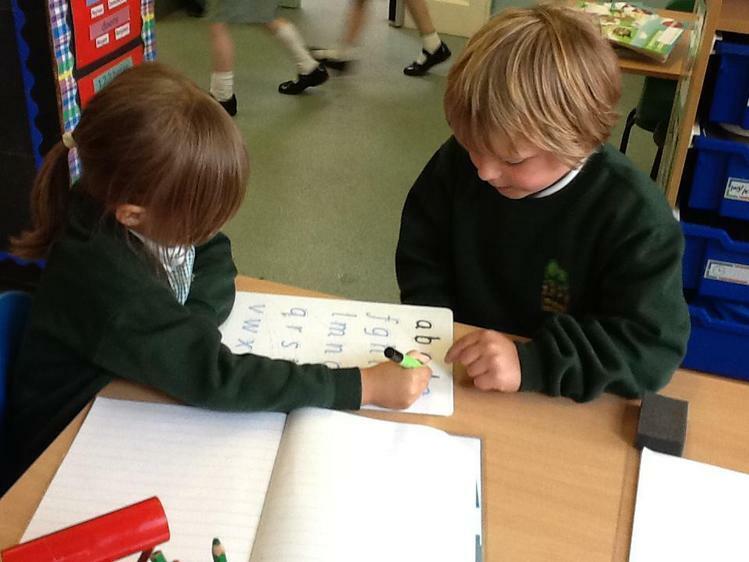 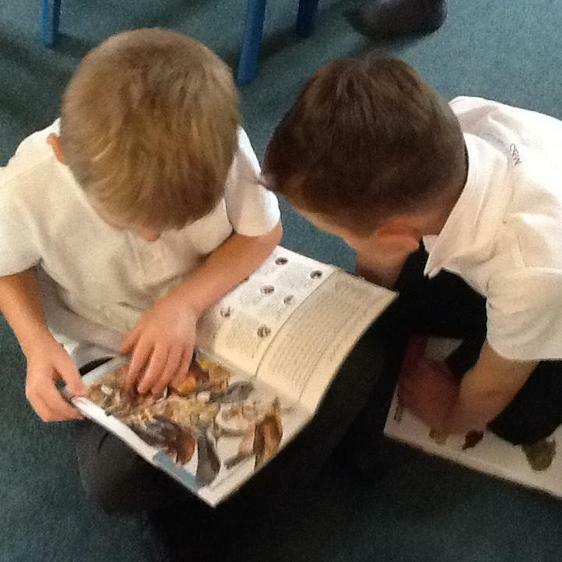 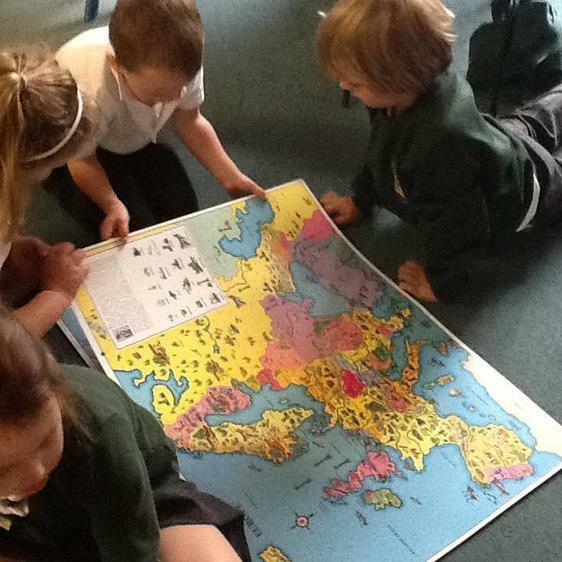 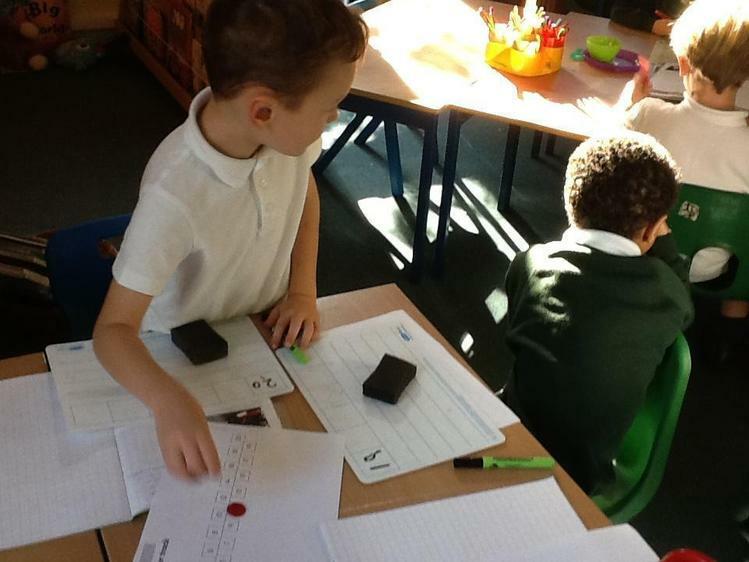 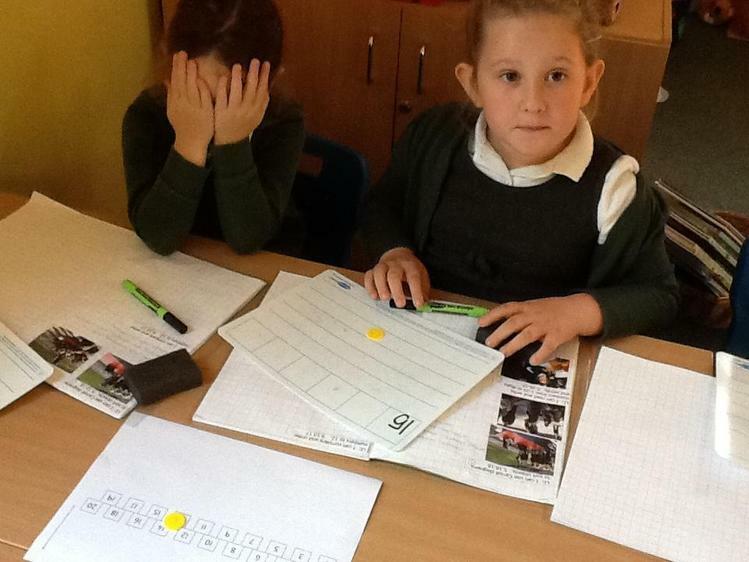 Take a look at the photo of the text they have learnt. 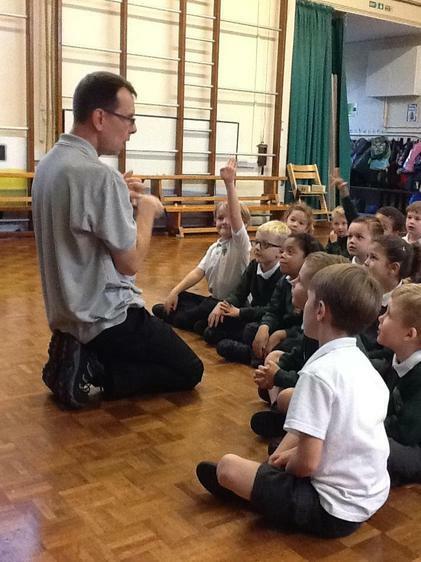 Can your child mime and say the text? 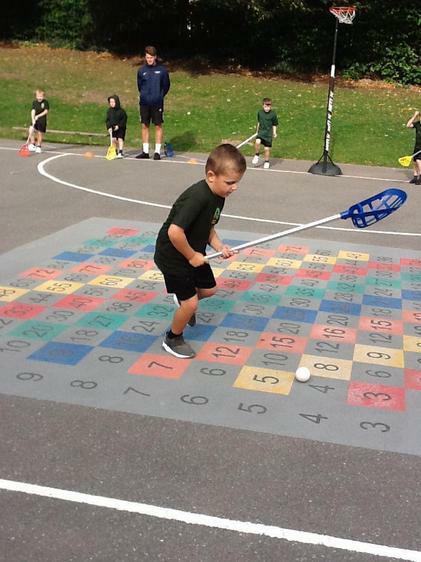 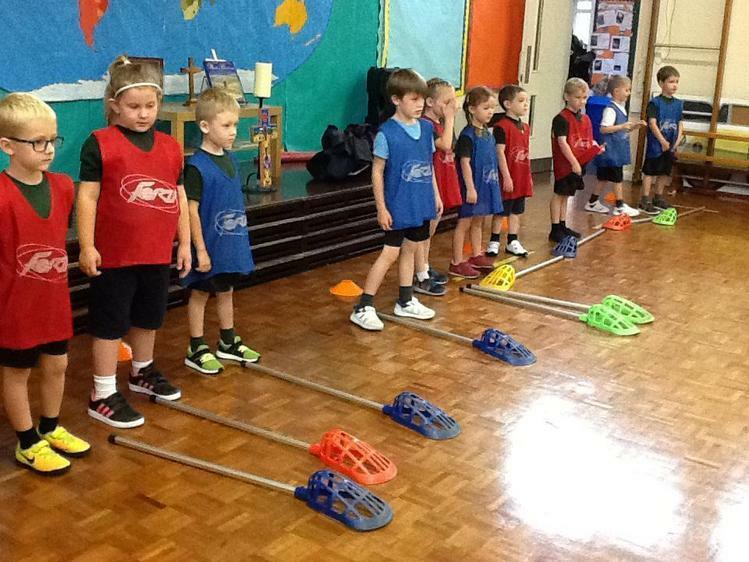 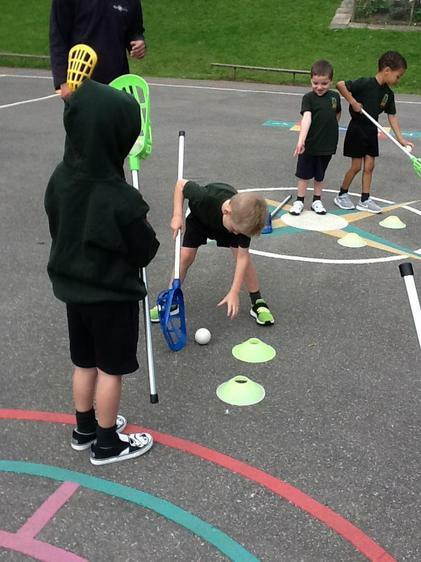 We are playing pop lacrosse this term in PE. 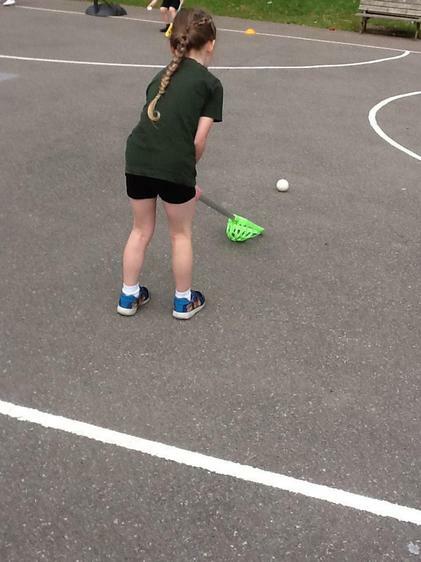 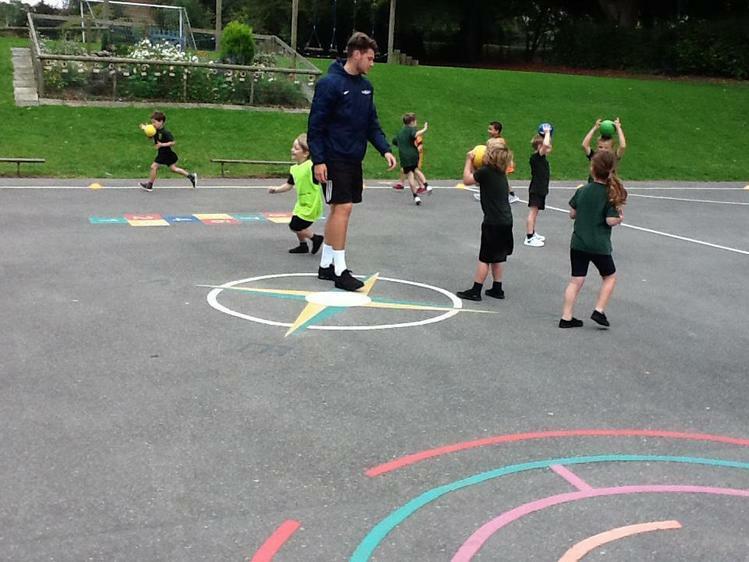 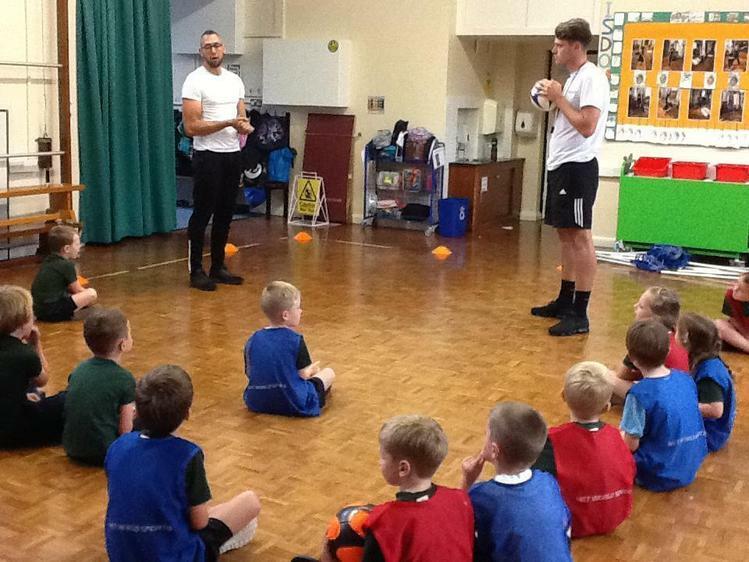 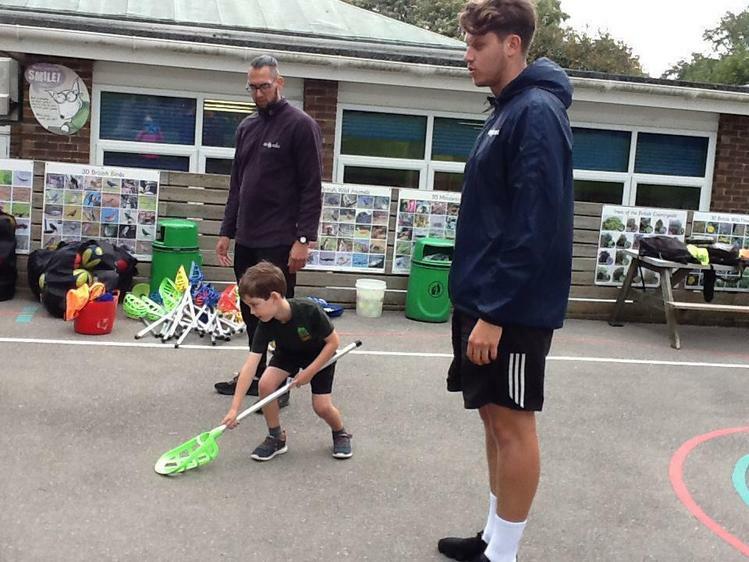 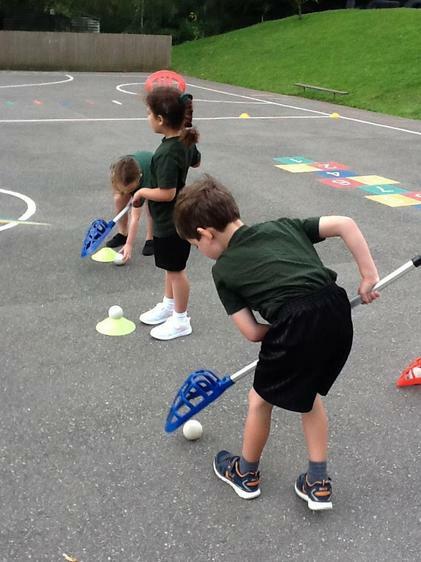 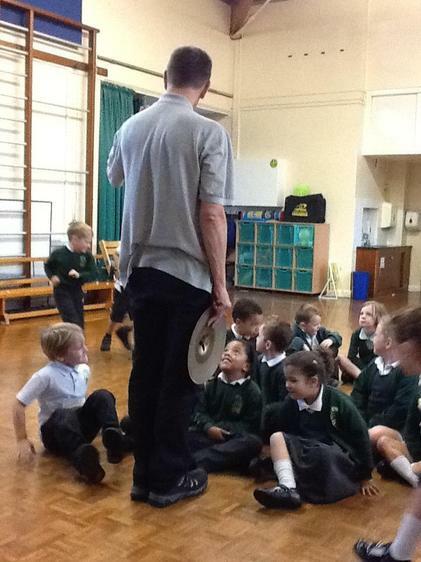 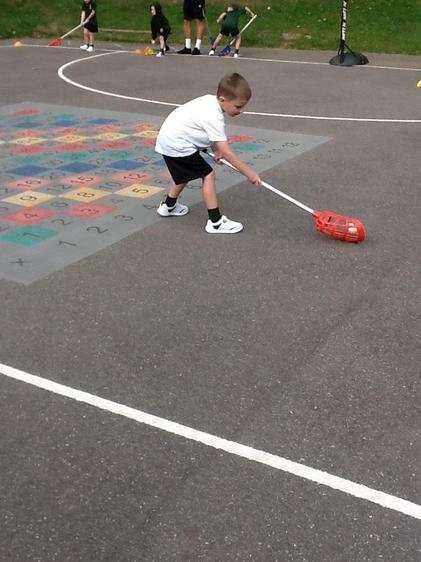 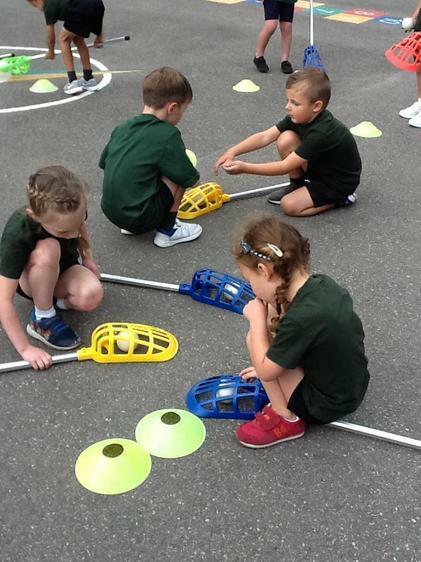 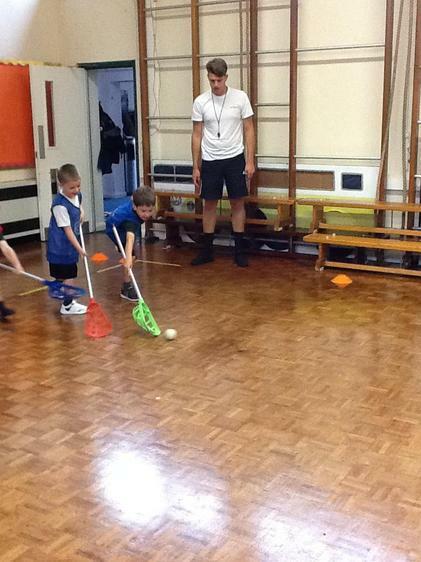 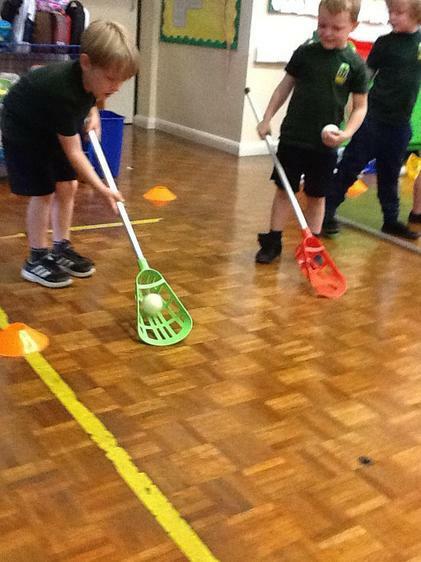 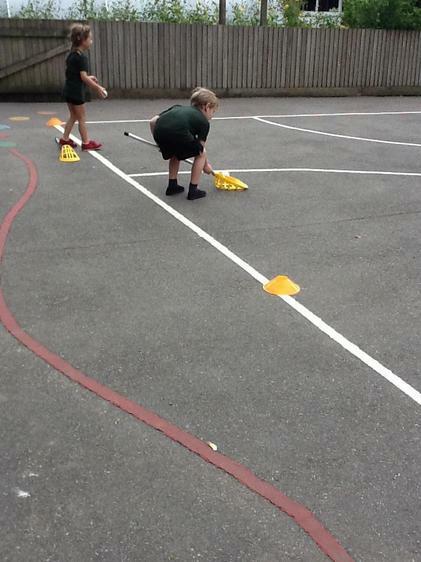 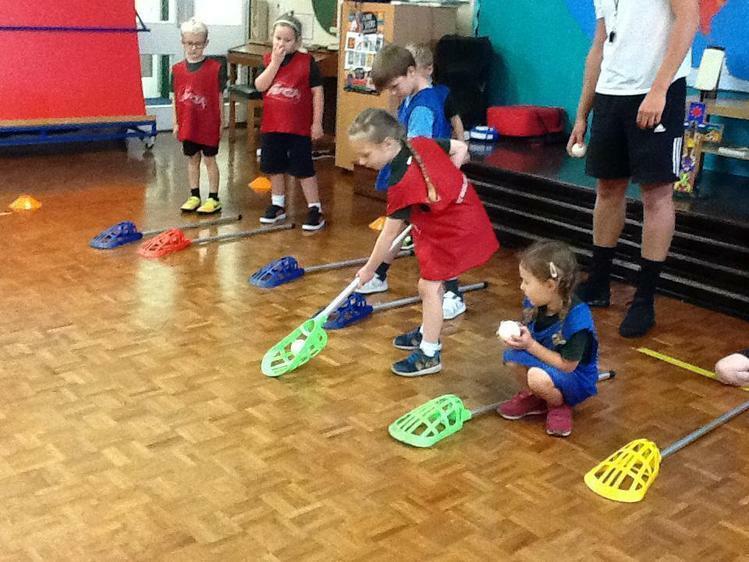 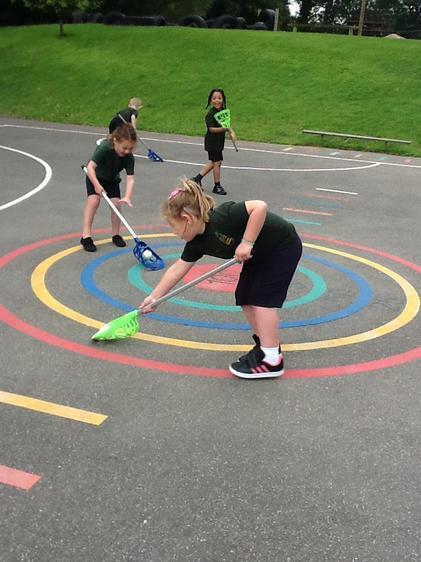 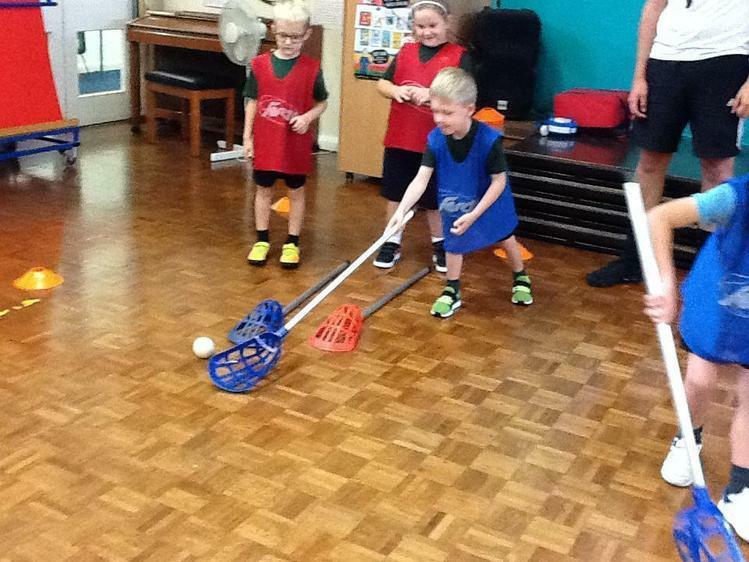 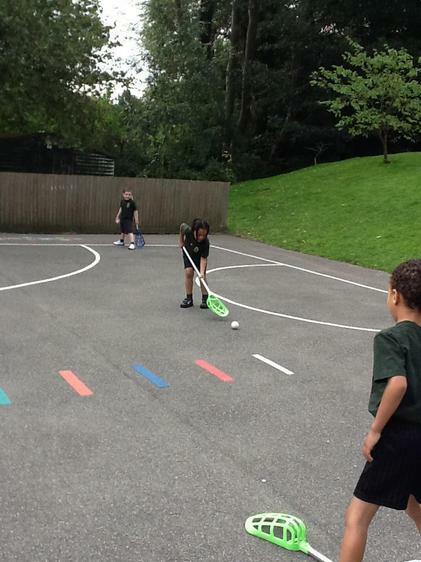 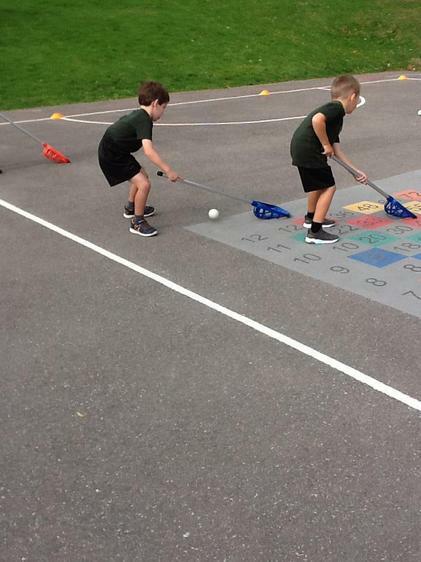 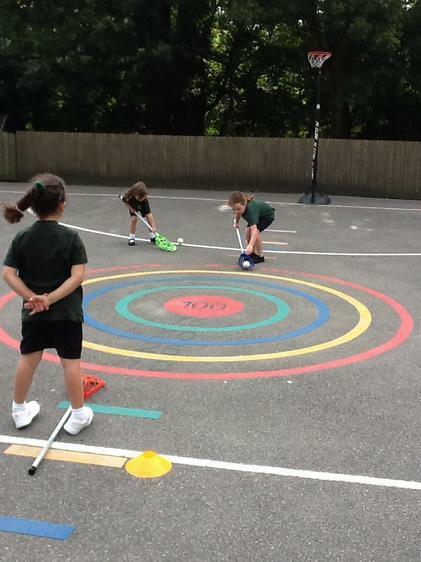 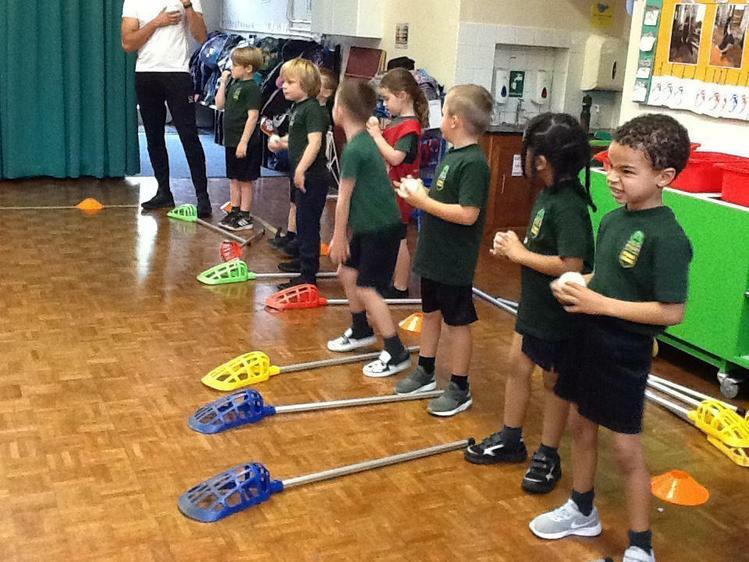 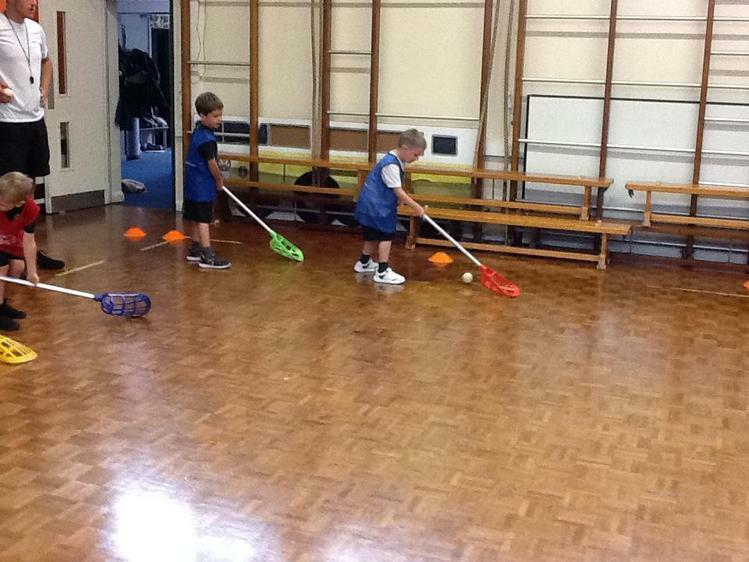 Last week the children learnt how to hold the sticks and had a go at scooping u up the lacrosse ball. 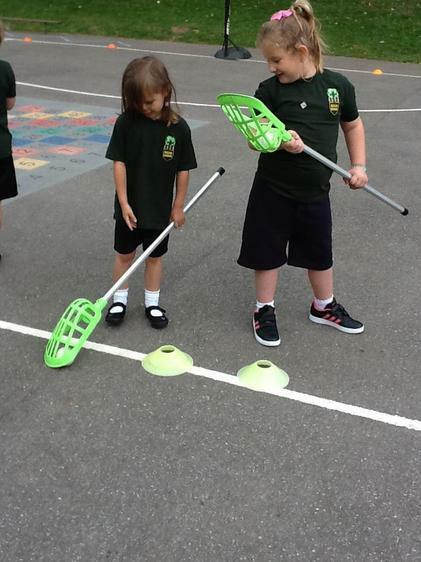 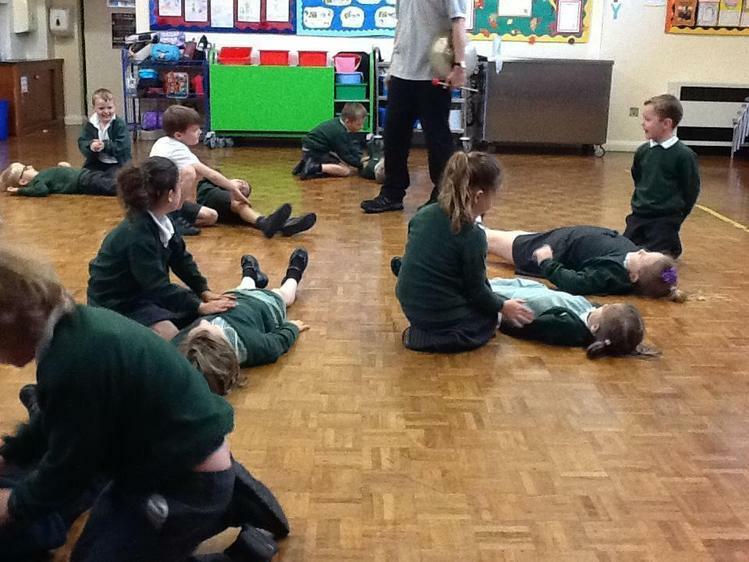 This week they did the same, but outside - a totally different experience! 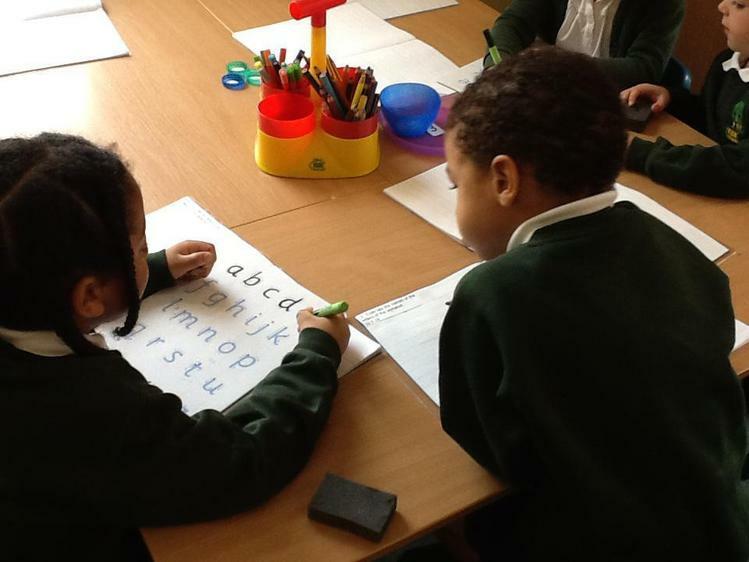 This week we are learning the names of the letters of the alphabet. 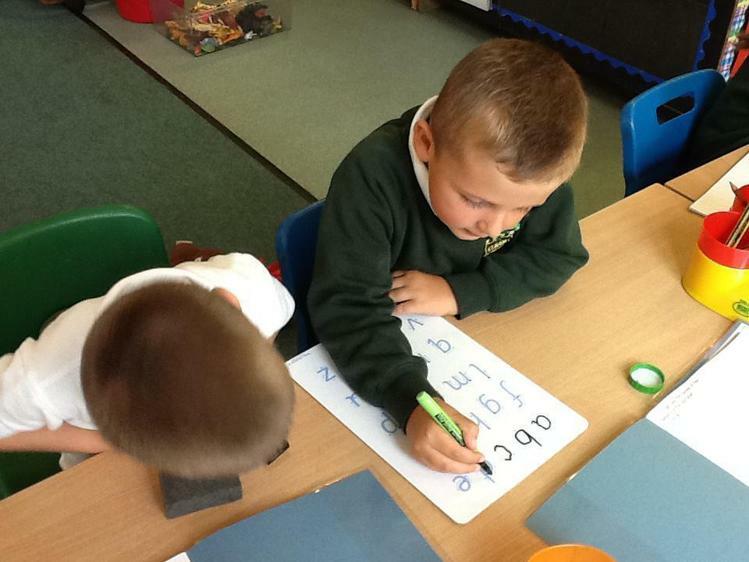 This is tricky because we know the sounds the letters make, but now we need to remember the letter names too. 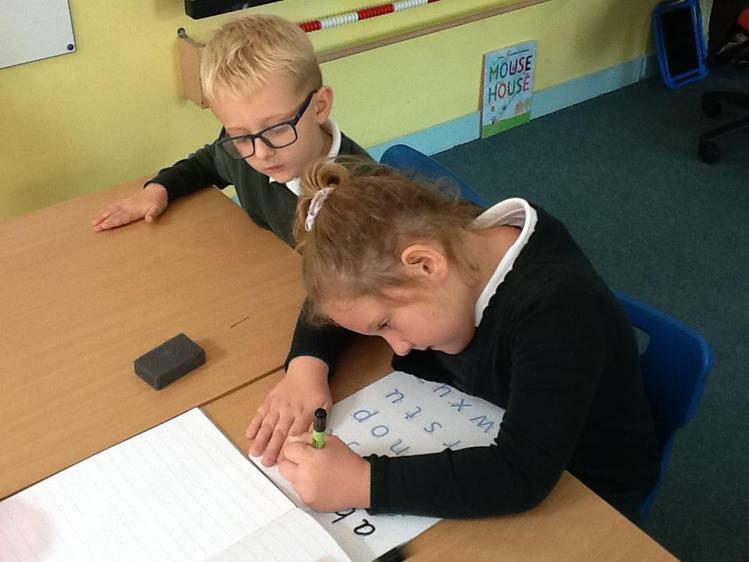 Ms Shepherd hid all the letters of the alphabet and we had to find them and put them order, but 4 are still missing somewhere in the classroom! 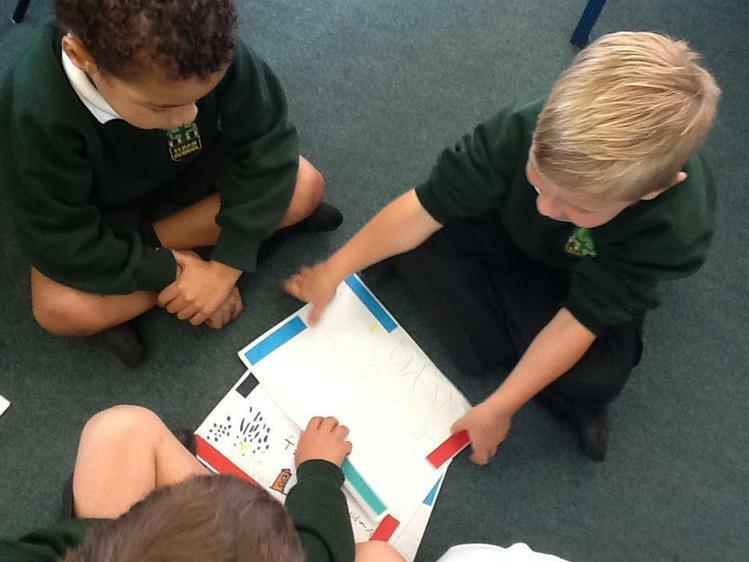 We are making a class alphabet book. 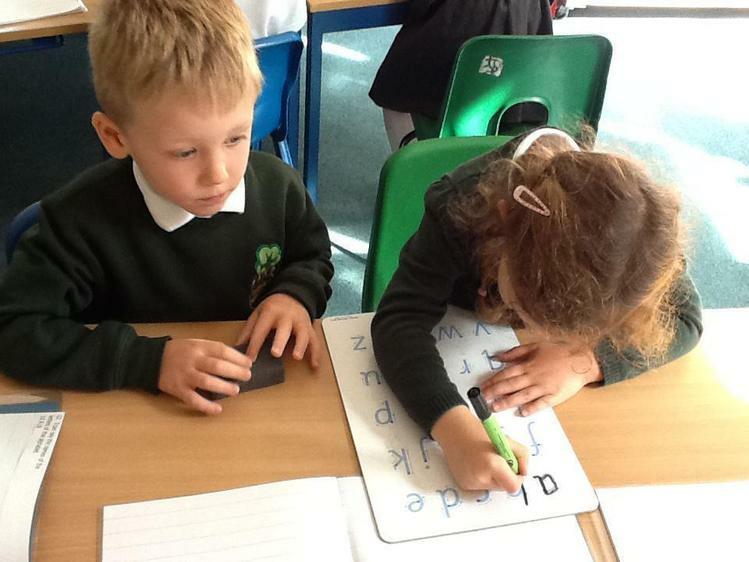 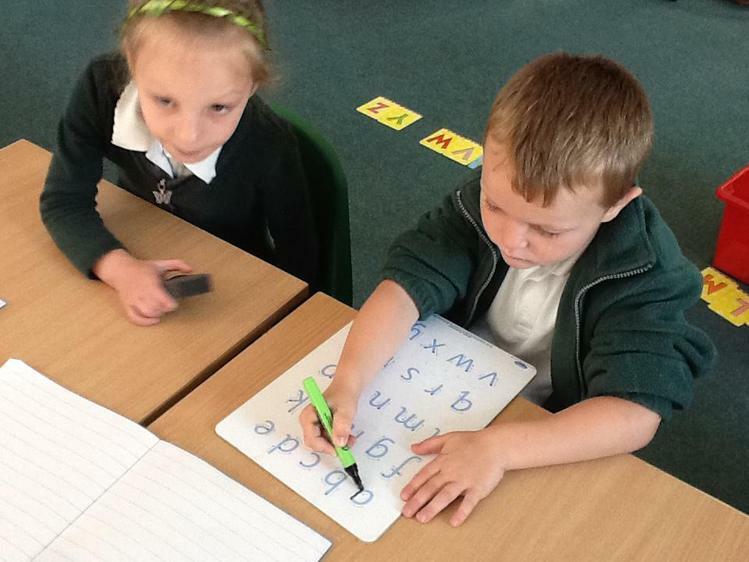 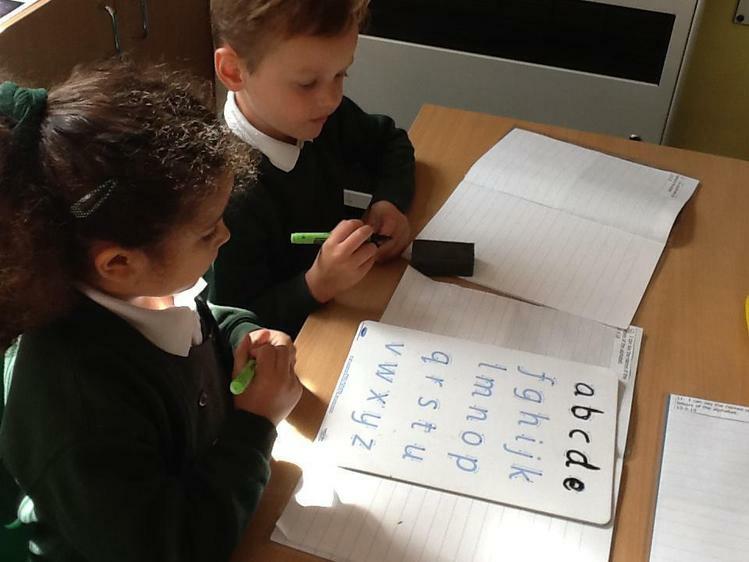 We have practised writing some of the letters too. 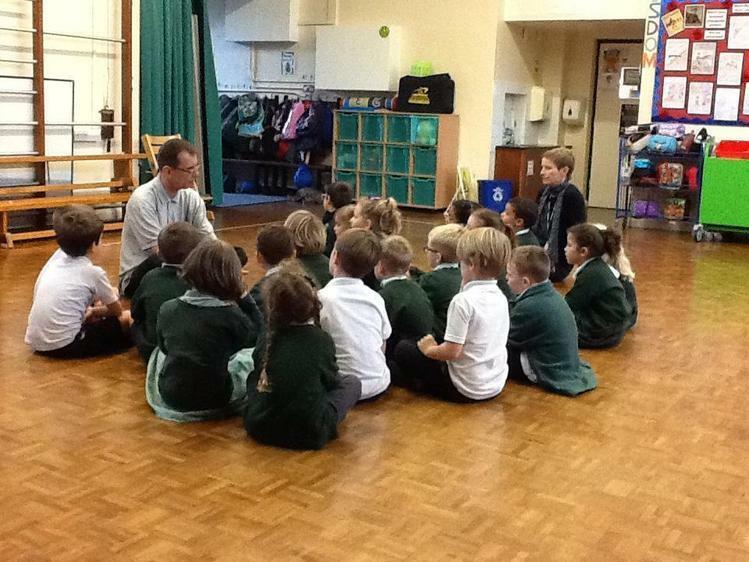 Below is a copy of the class timetable. 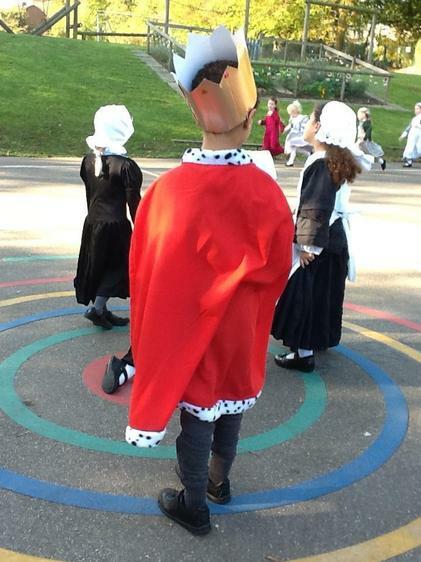 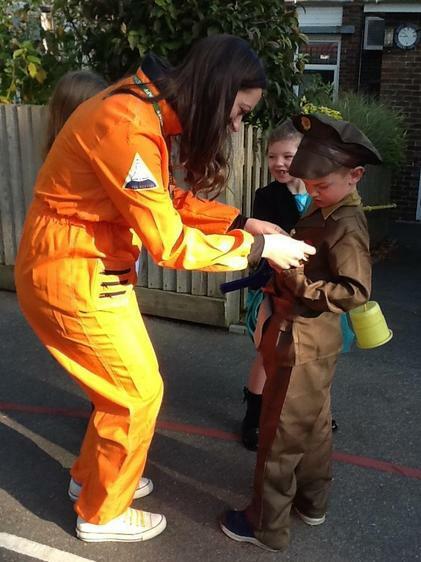 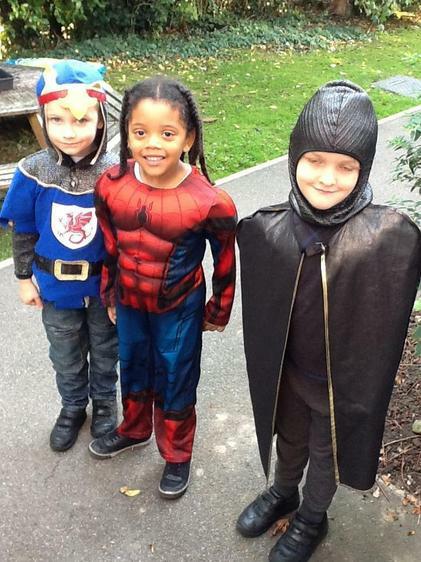 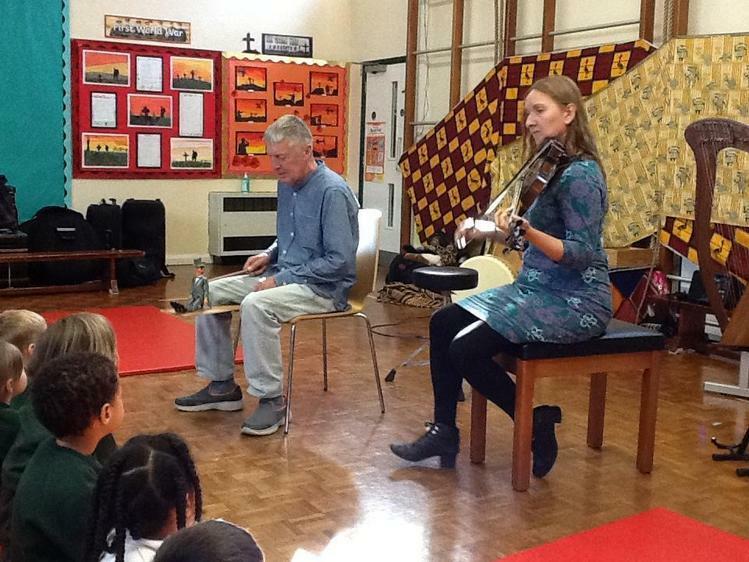 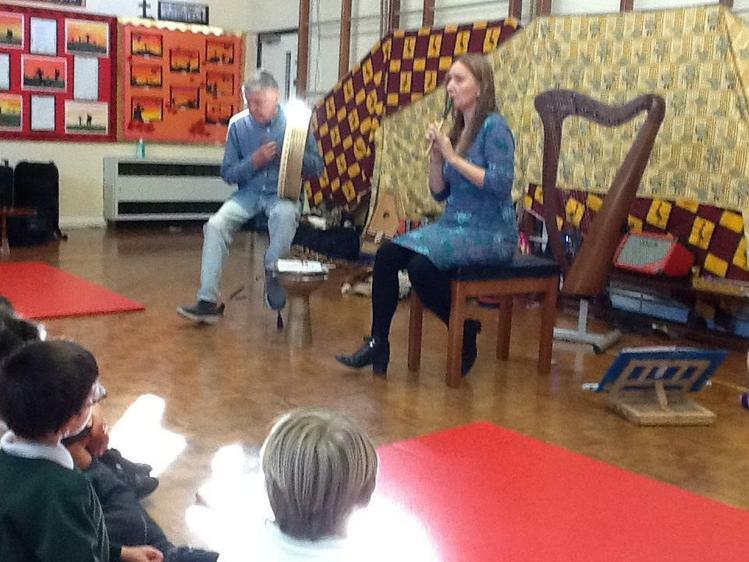 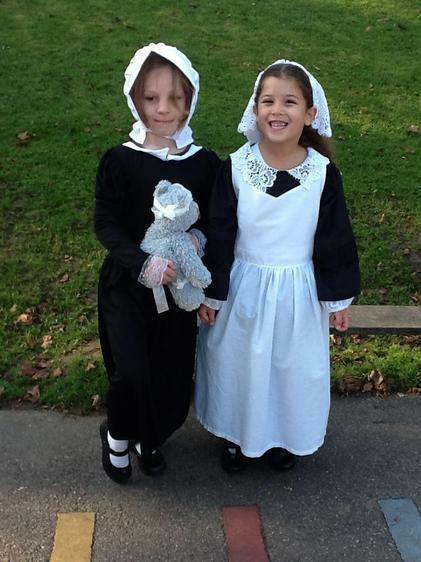 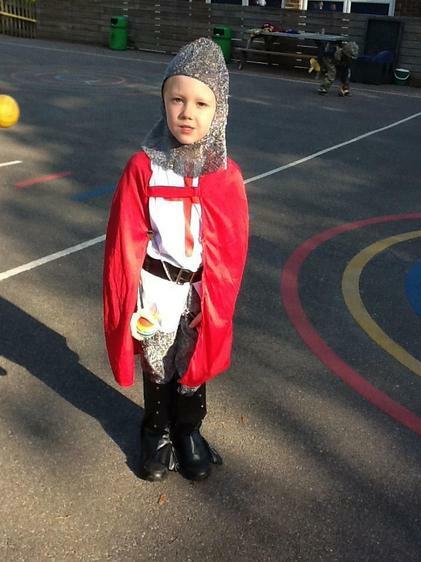 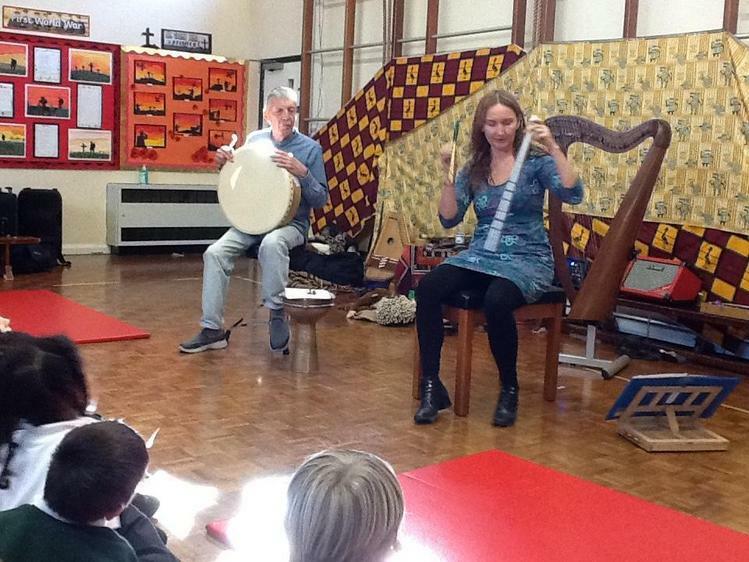 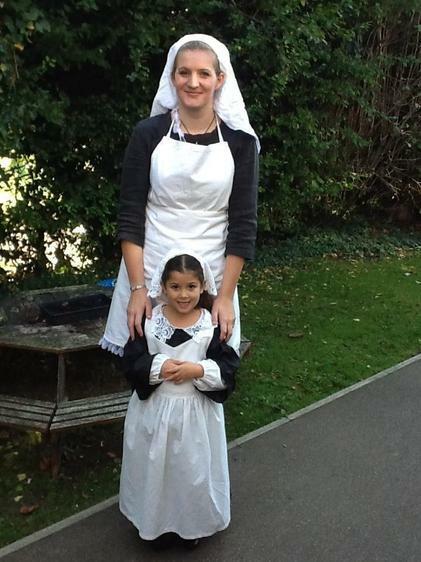 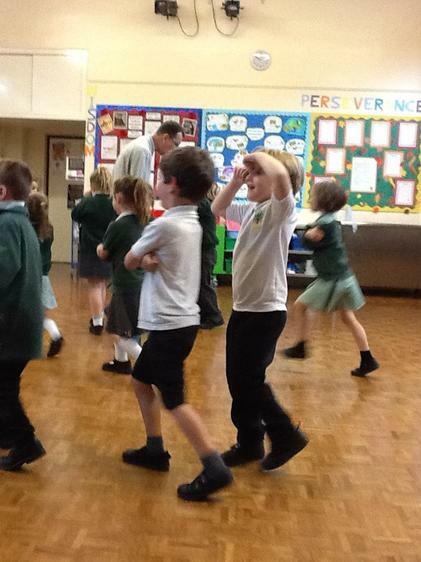 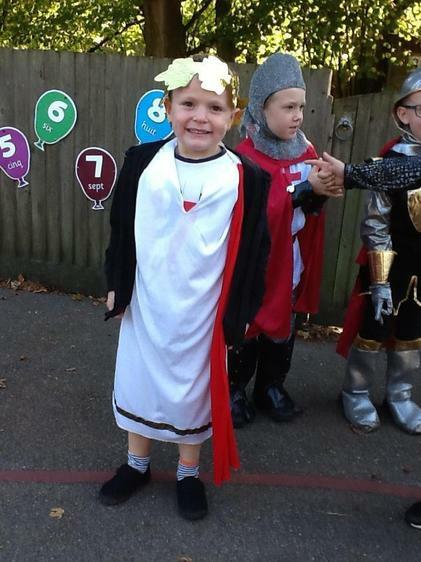 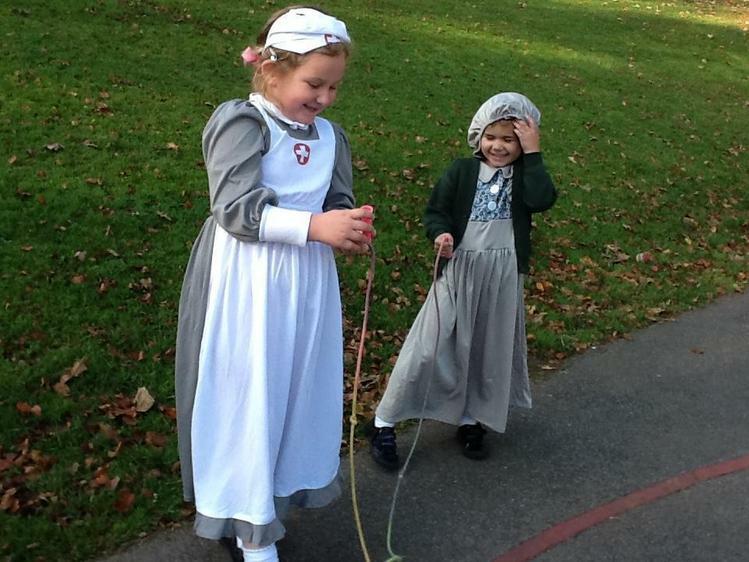 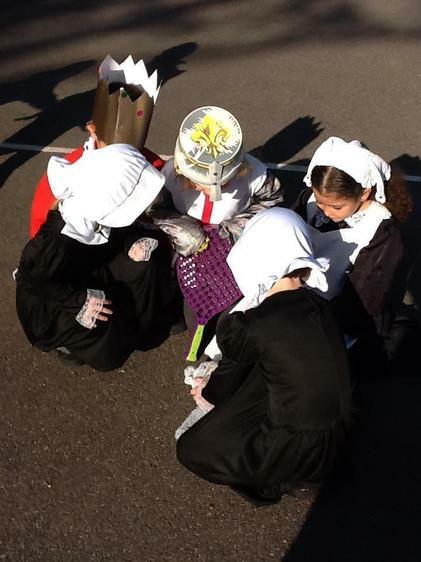 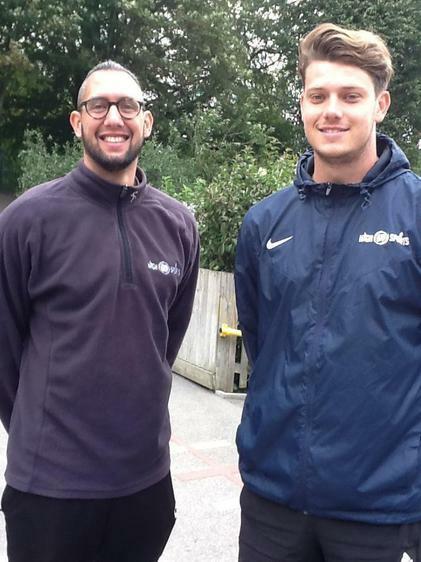 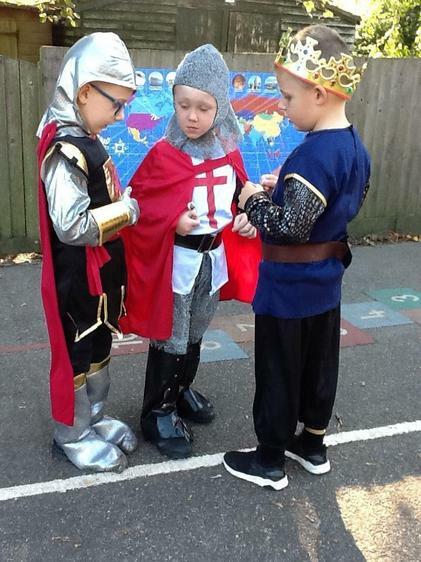 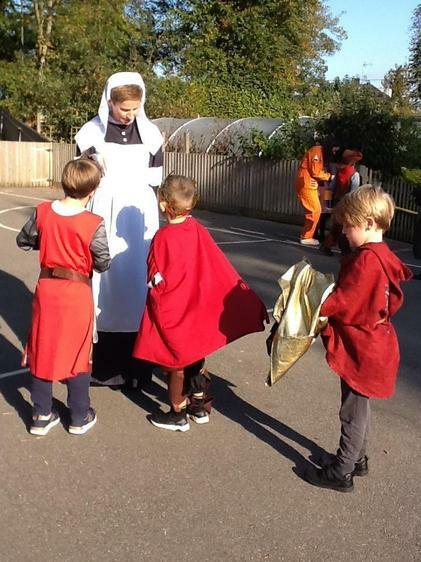 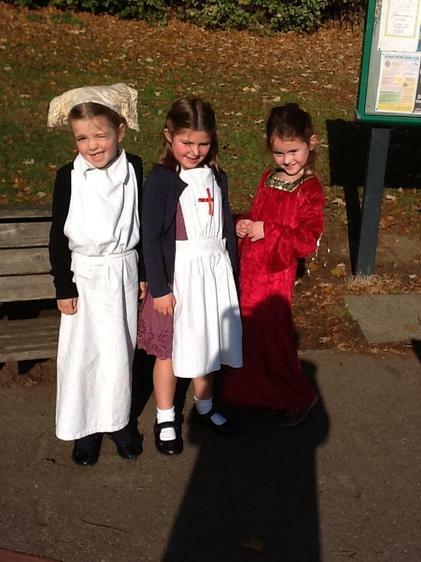 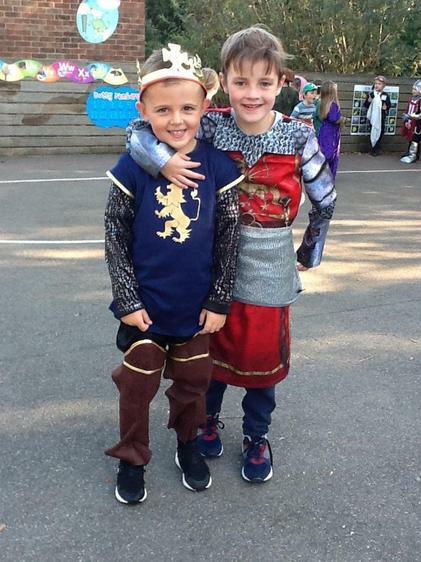 The children are taught by Ms Shepherd and Mrs Pullen in the mornings and by Mrs Pullen in the afternoons. 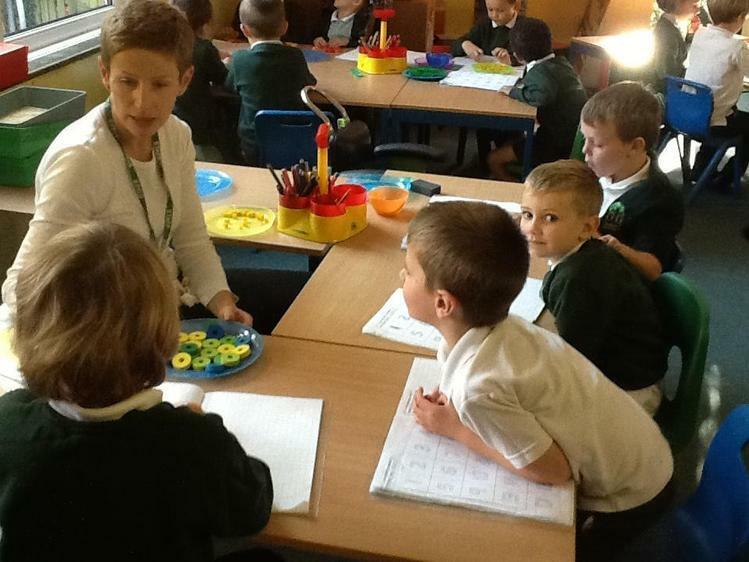 Mrs Godden teaches Computing. 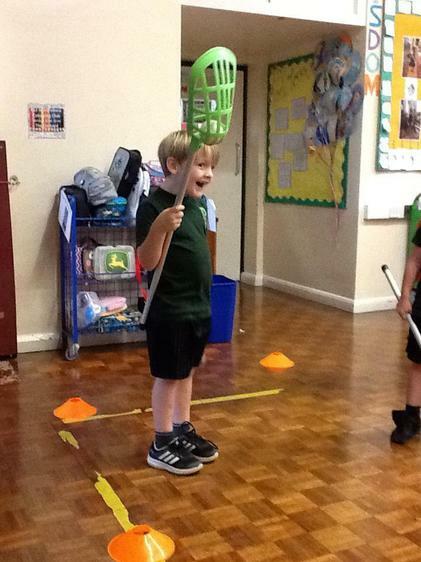 PE is on Tuesday afternoon and Wednesday morning. 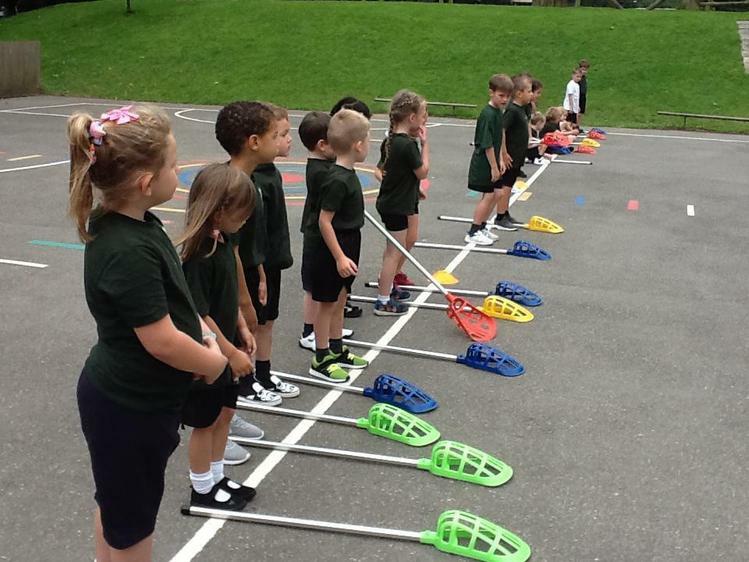 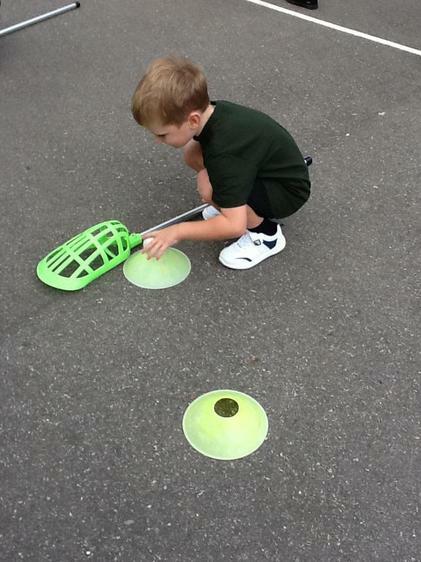 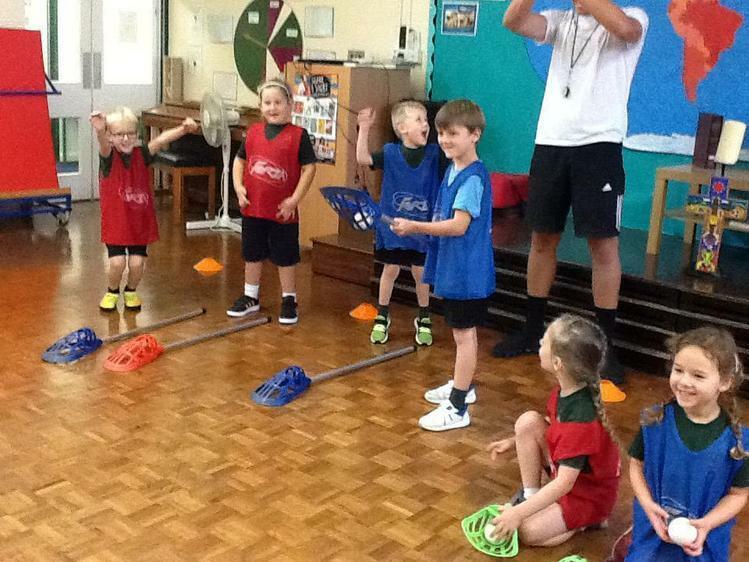 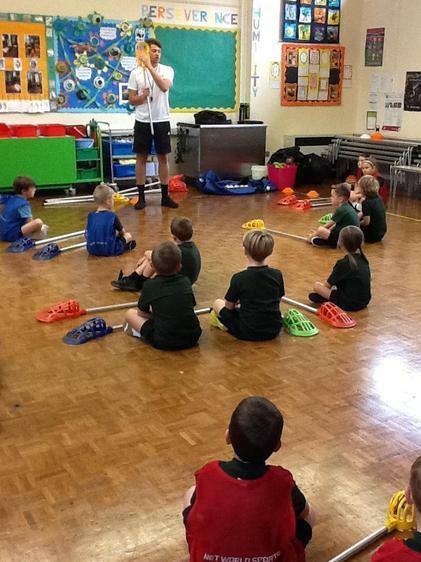 This term the children are learning lacrosse skills. 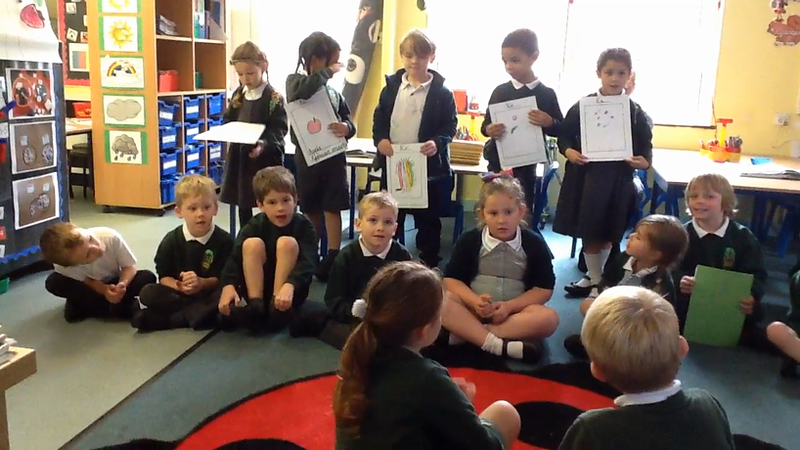 Welcome to Hazel Class! 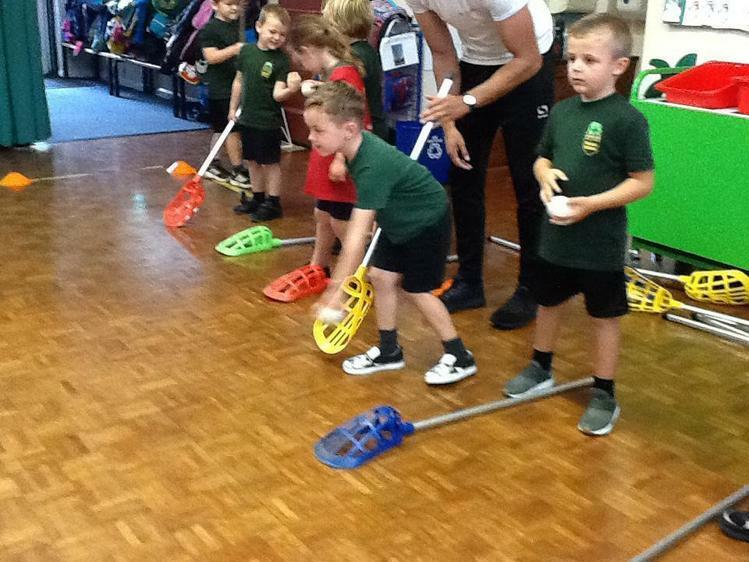 We have had a good week 'learning the ropes', sorting out the groups we are working in, getting to know the adults in the class room, etc. 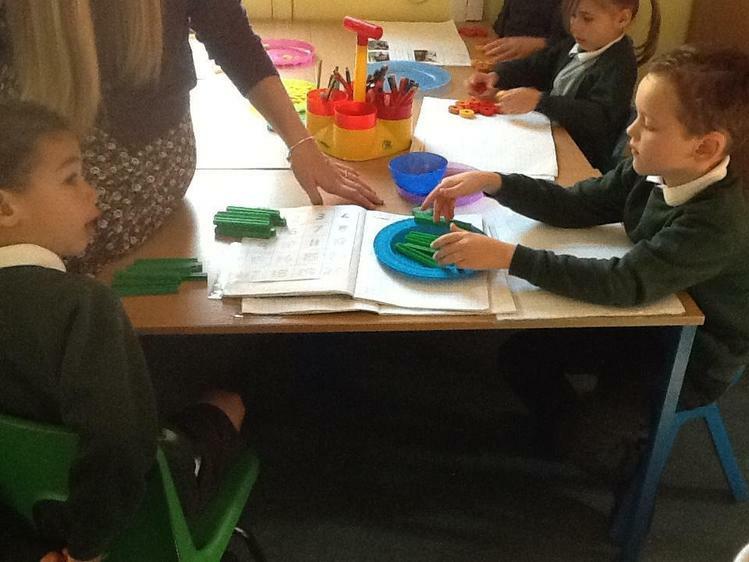 We are looking forward to showing our mums and dads (friends and family) our new classroom next Wednesday.